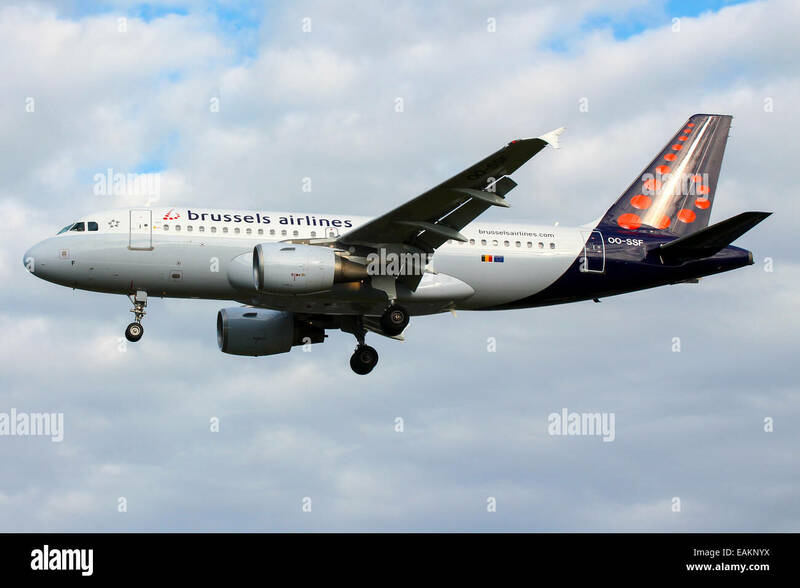 Brussels Airlines Airbus A319 approaches runway 27L at London Heathrow Airport. 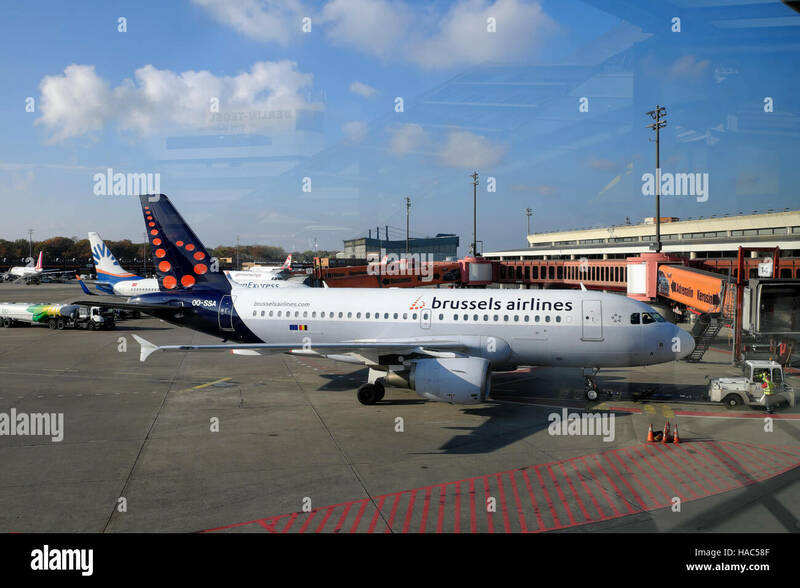 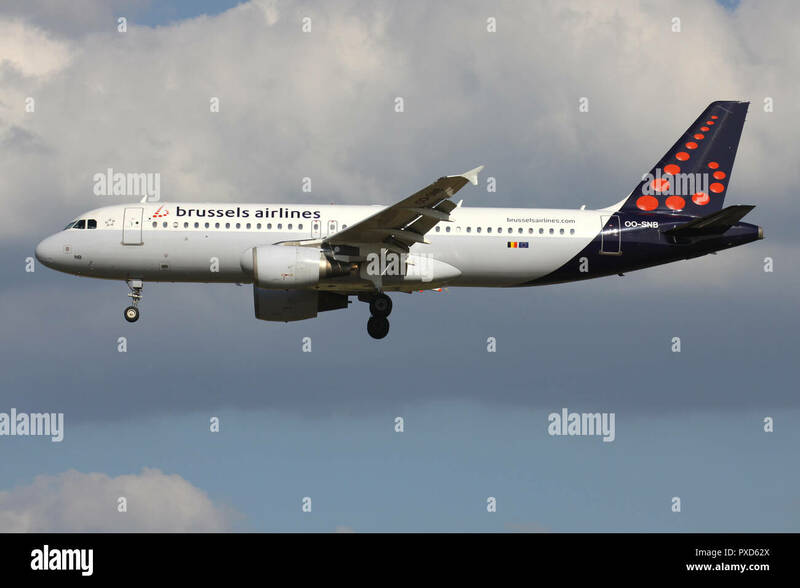 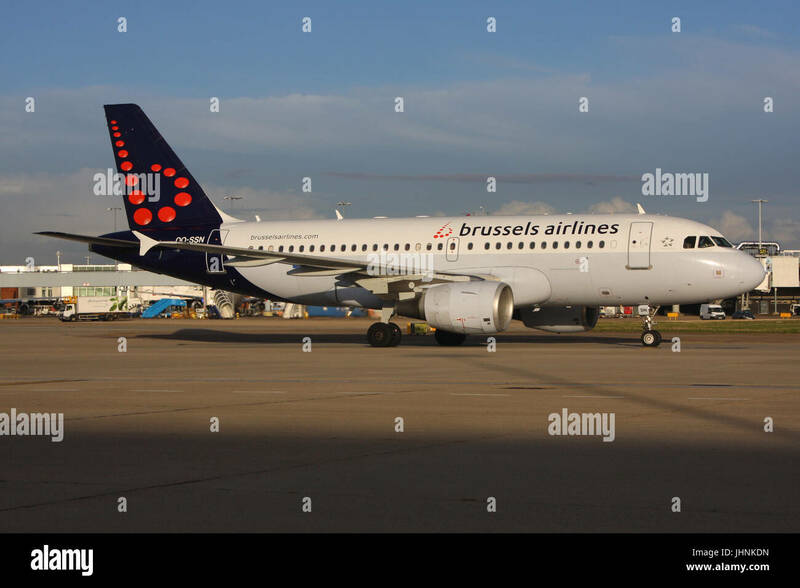 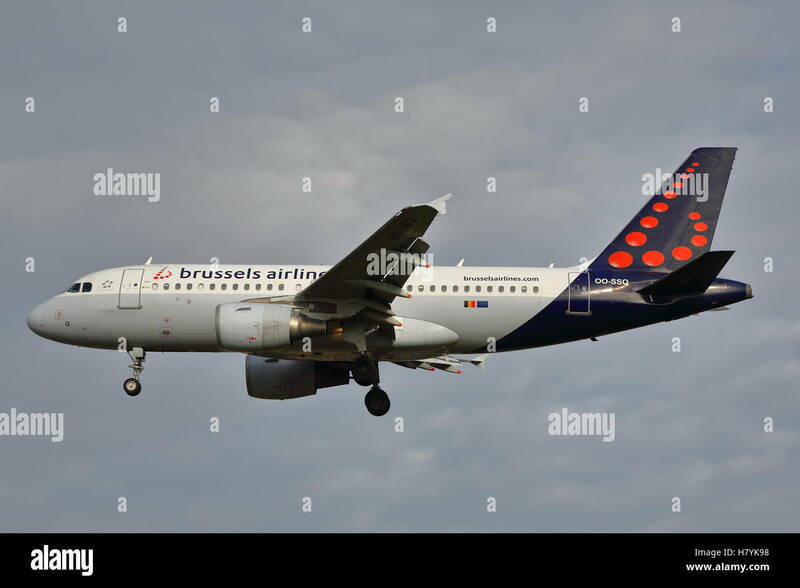 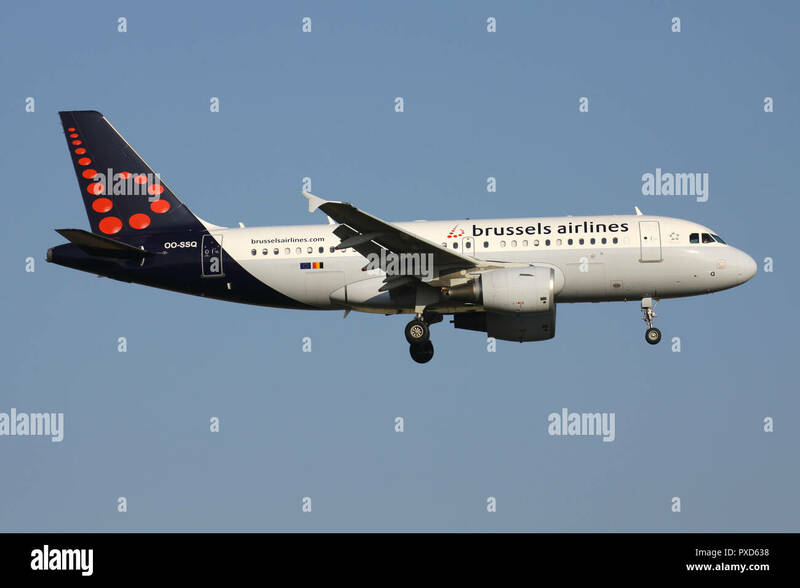 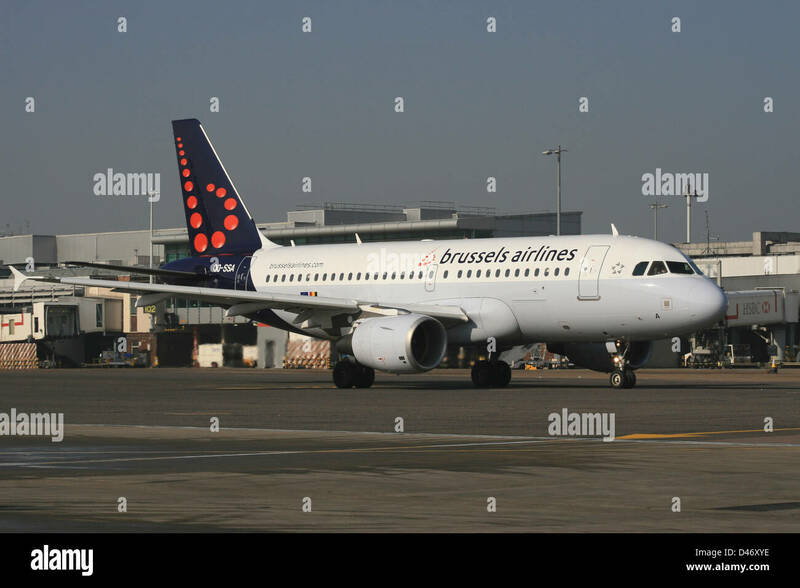 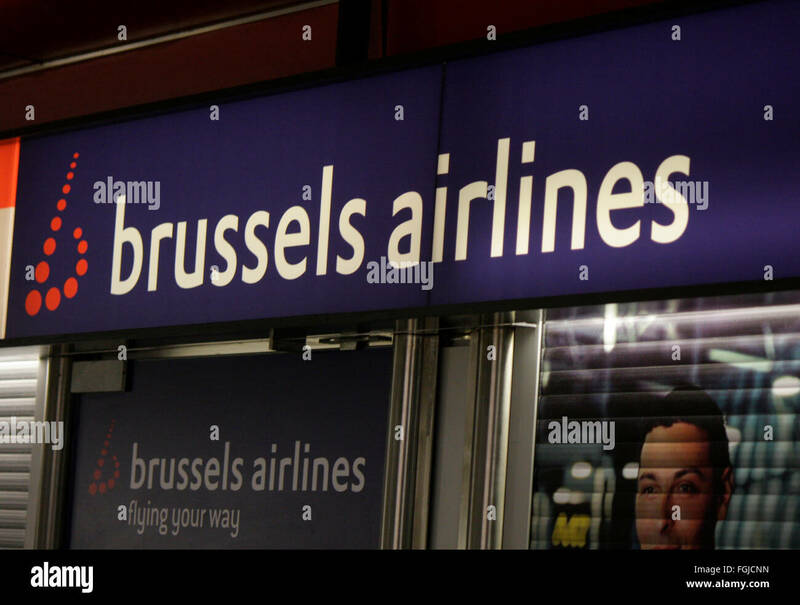 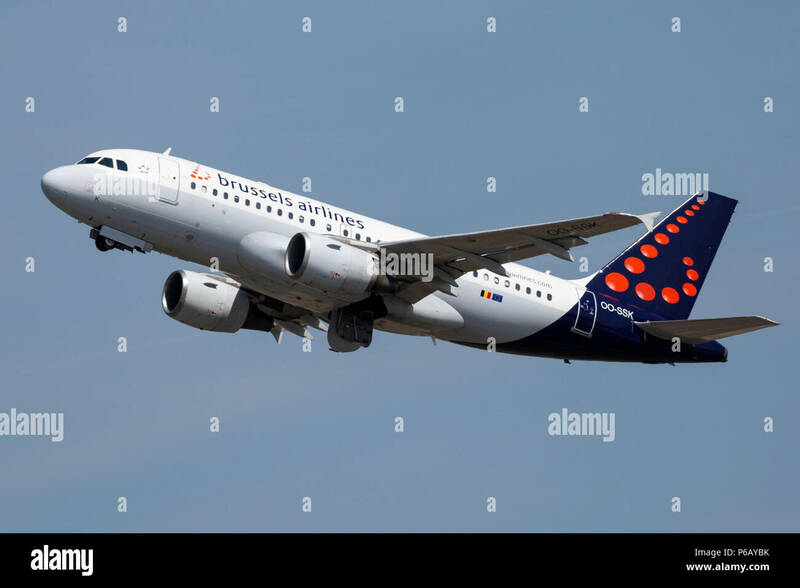 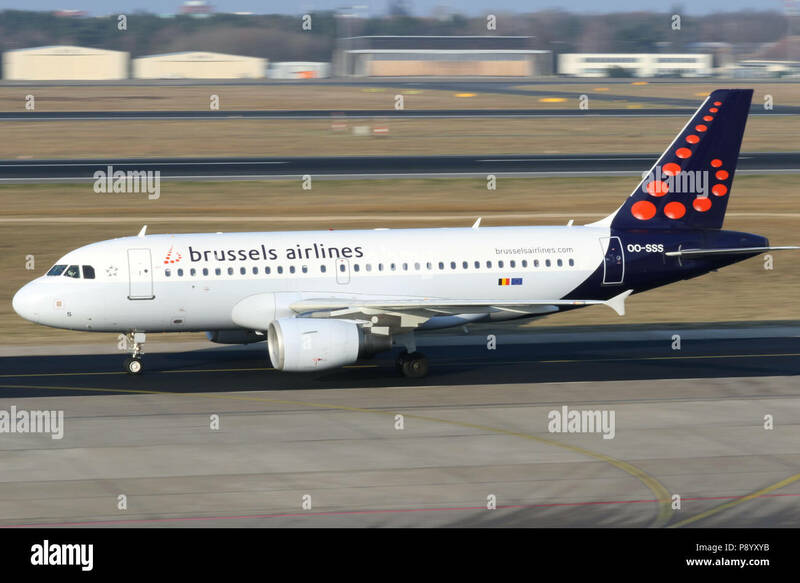 Airbus A319 of Brussels Airlines. 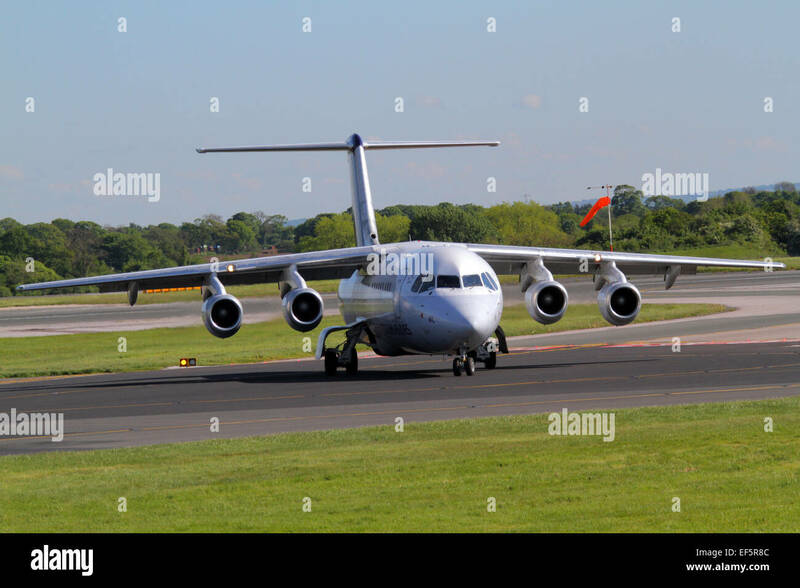 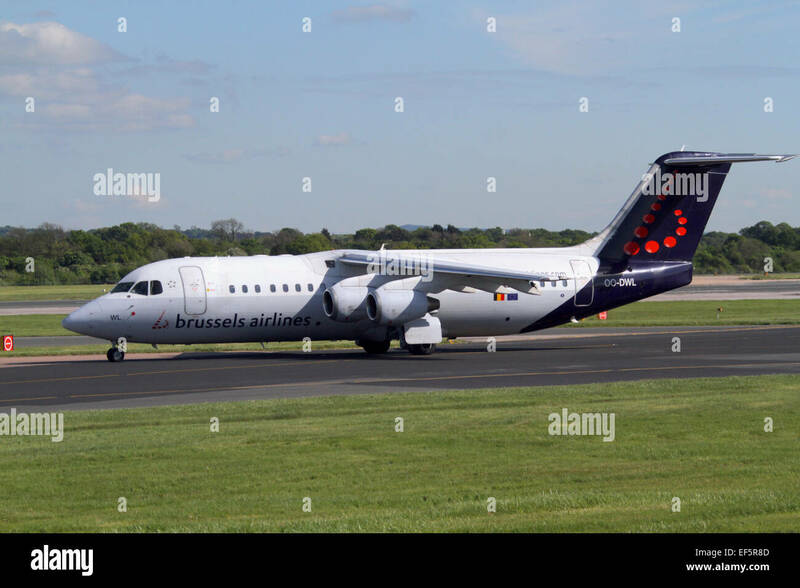 Avro RJ100 operated by Brussels Airlines climbing out from taking off at Birmingham Airport, UK. 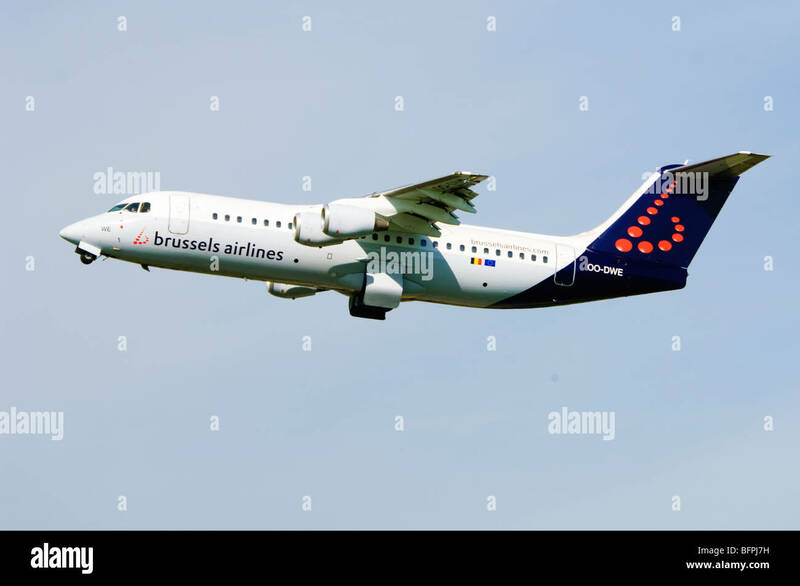 Brussels Airlines British Aerospace Avro RJ85 approaches runway 27L at London Heathrow airport. 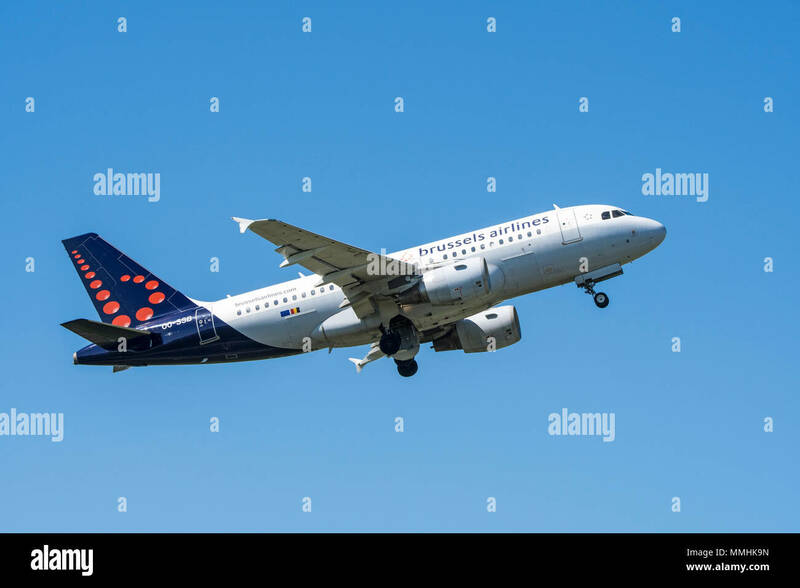 Brussels Airlines Airbus A319-112 OO-SSQ on approach to land. 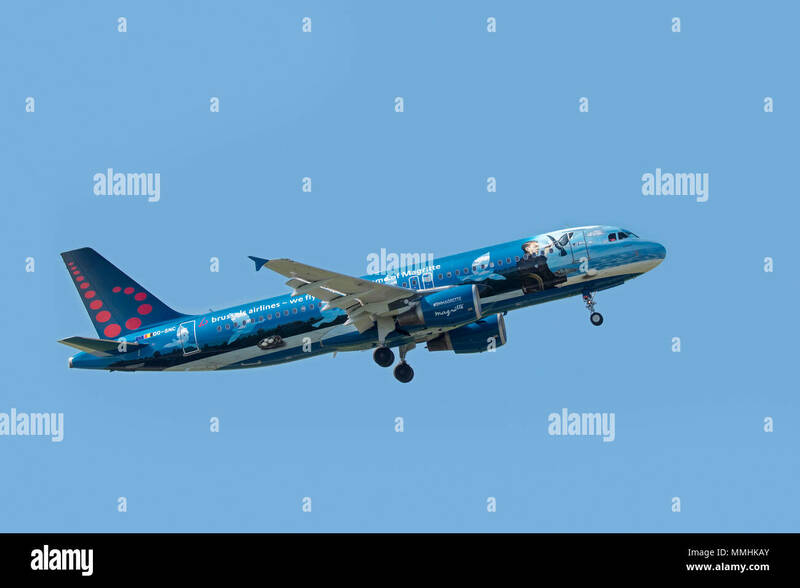 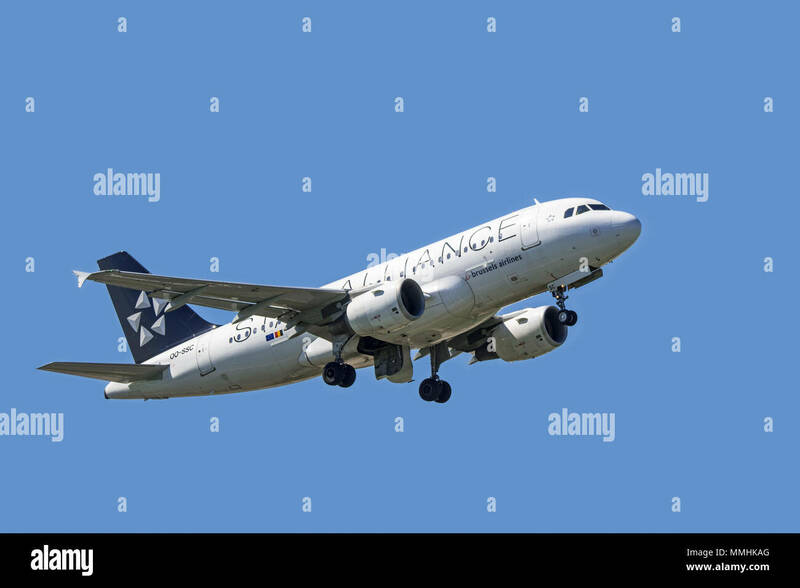 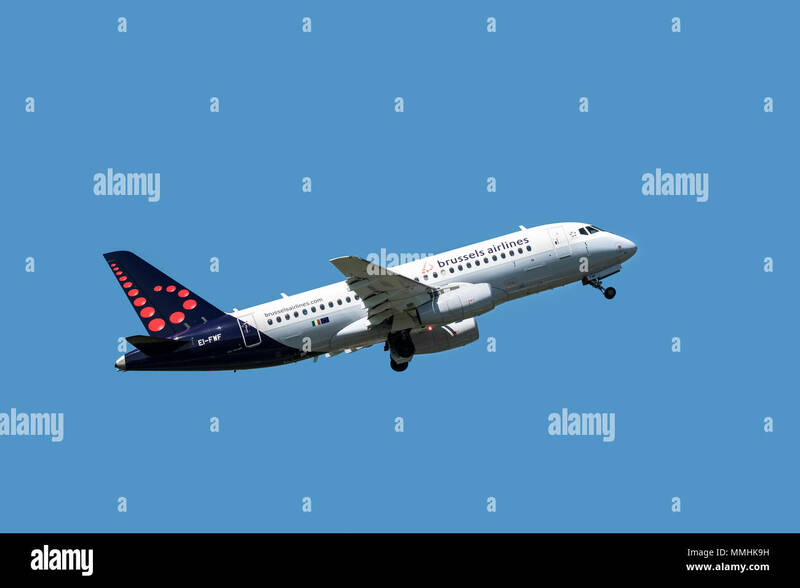 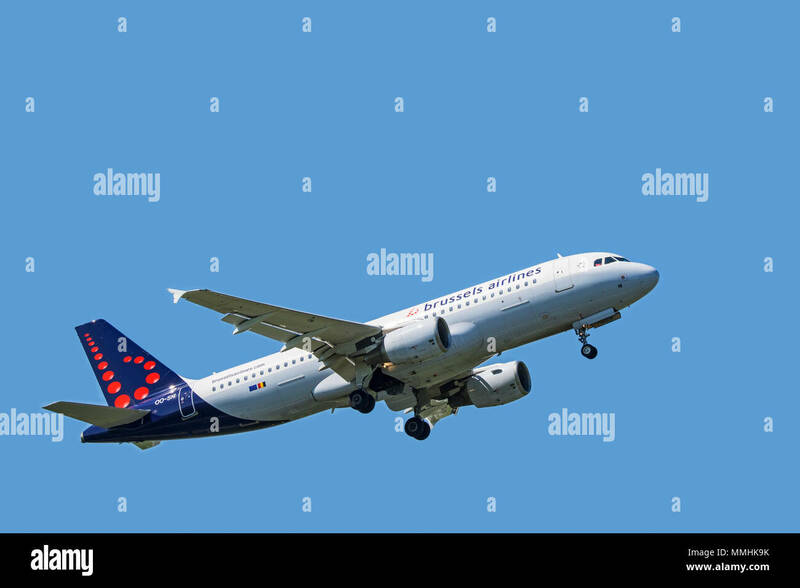 A Brussels Airlines Airbus A319, OO-SSK, taking off from Manchester Airport in England. 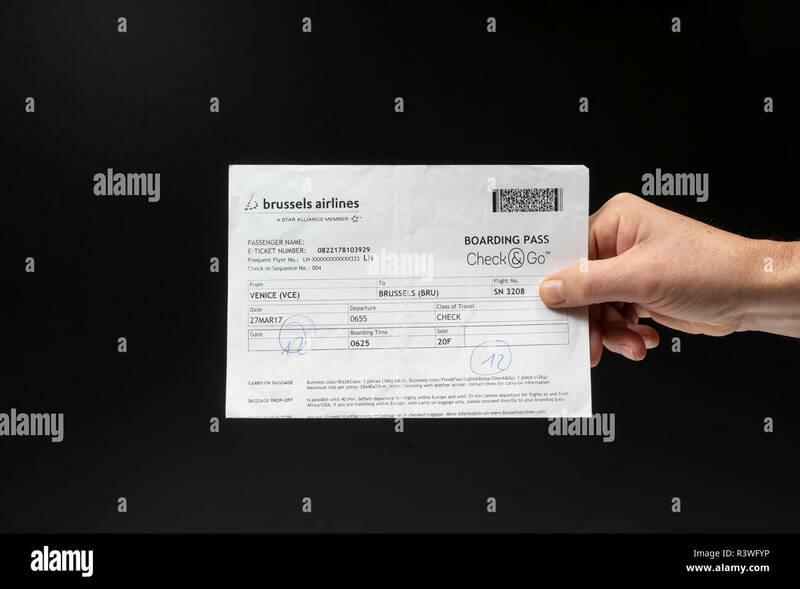 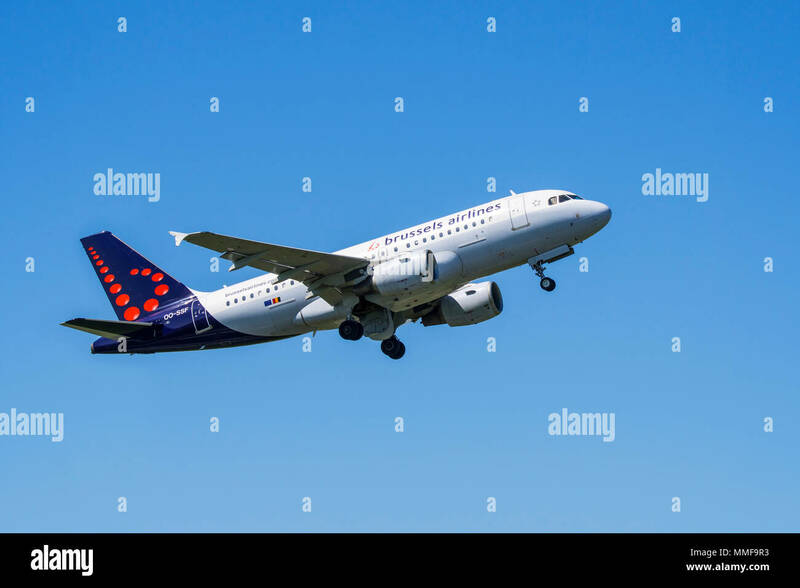 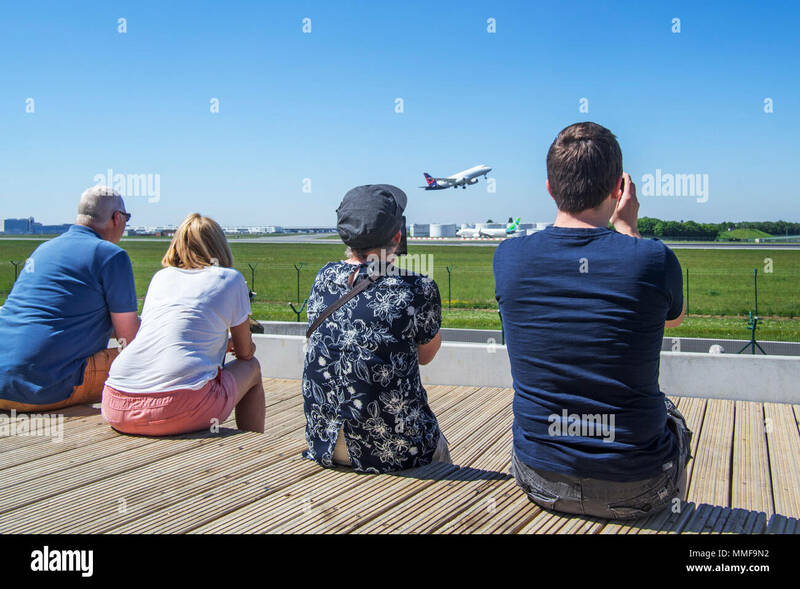 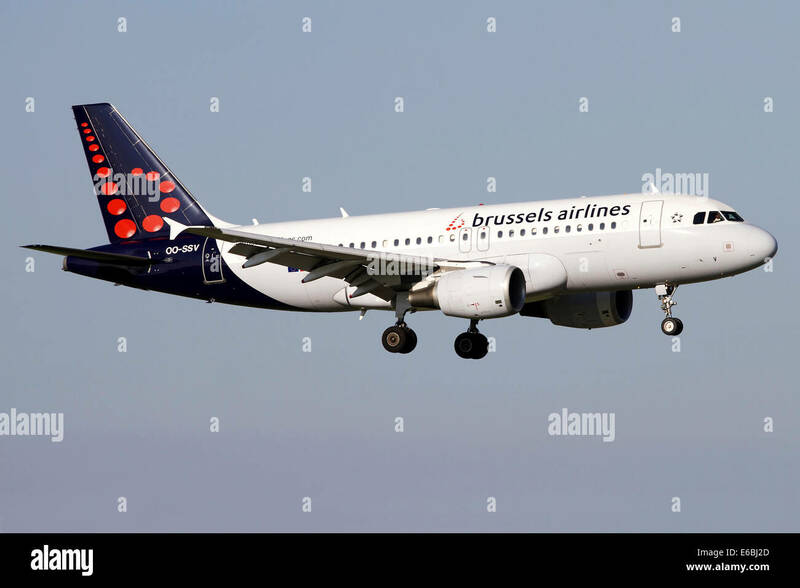 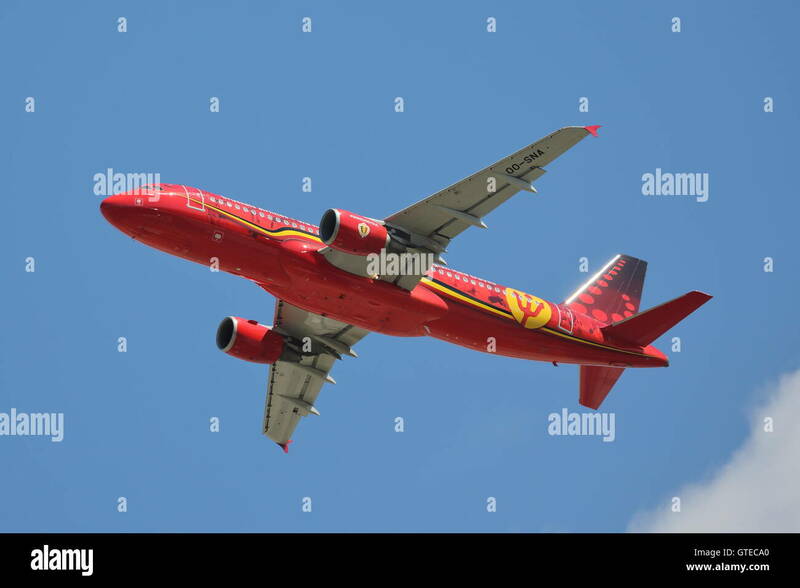 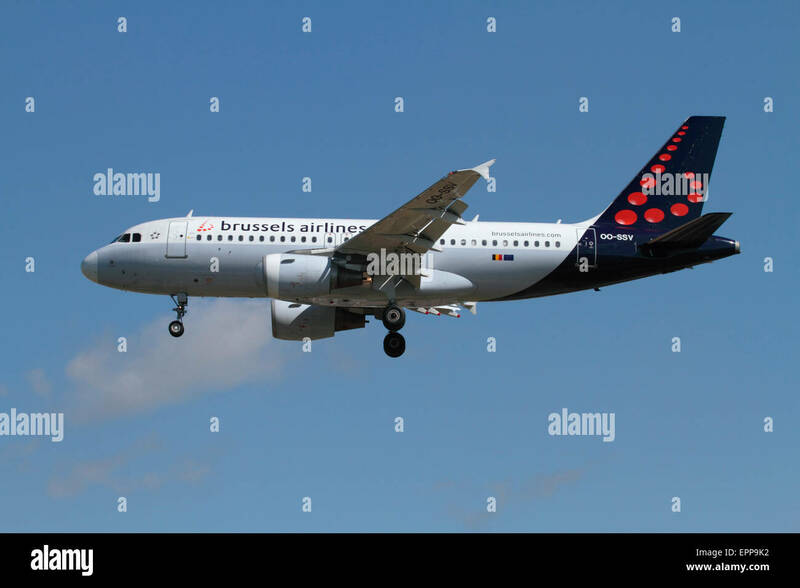 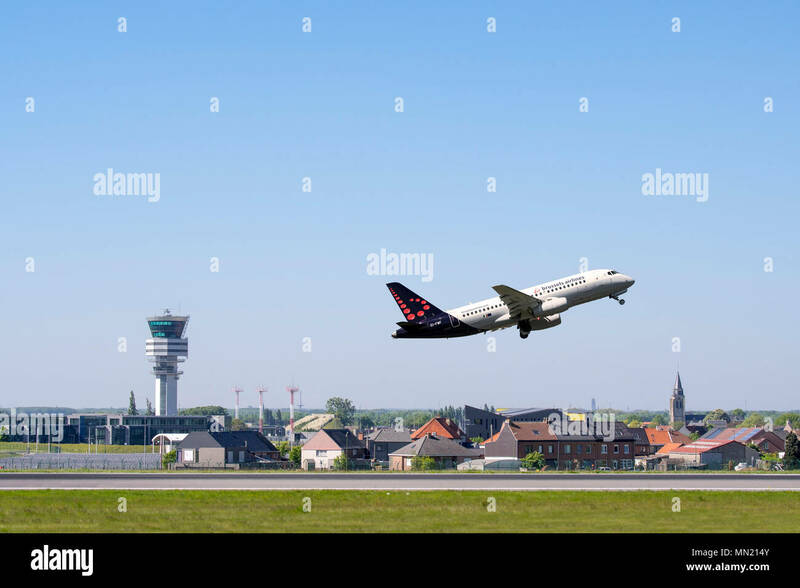 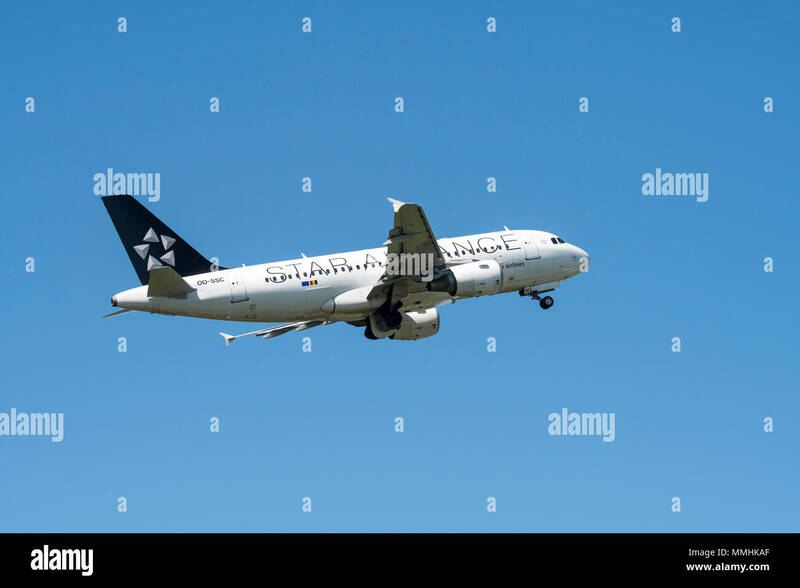 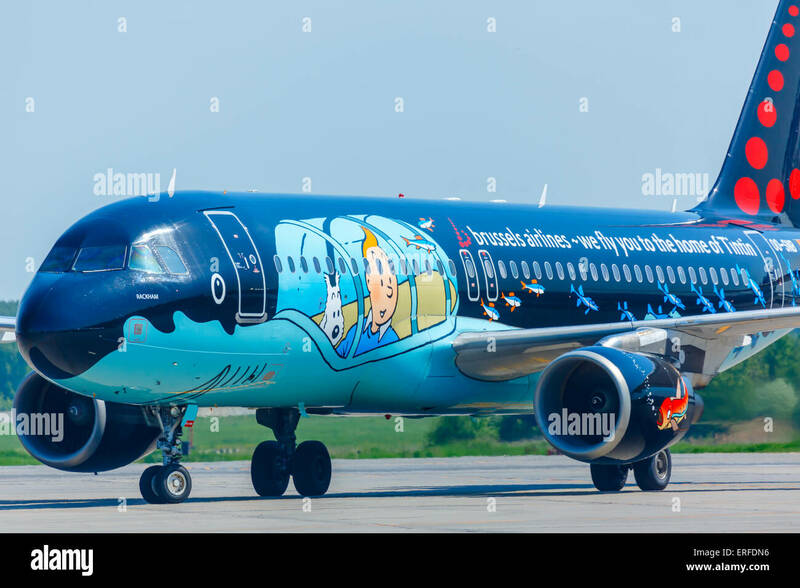 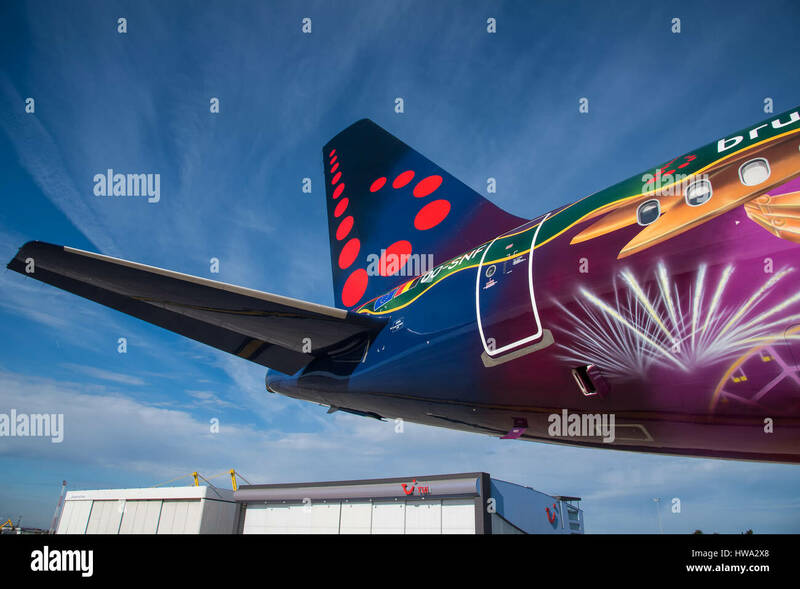 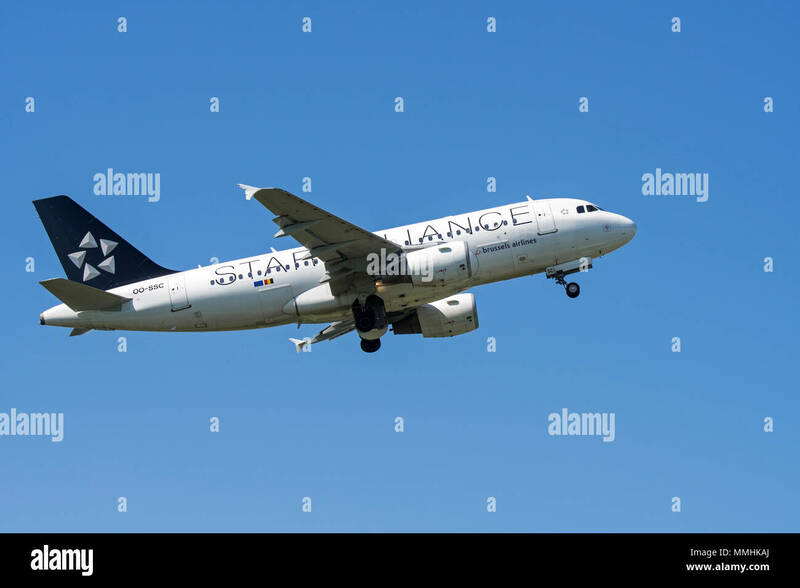 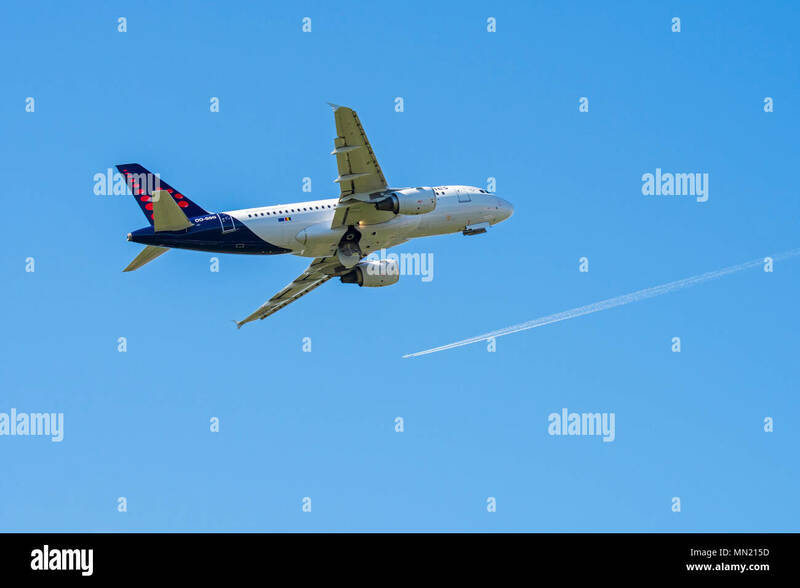 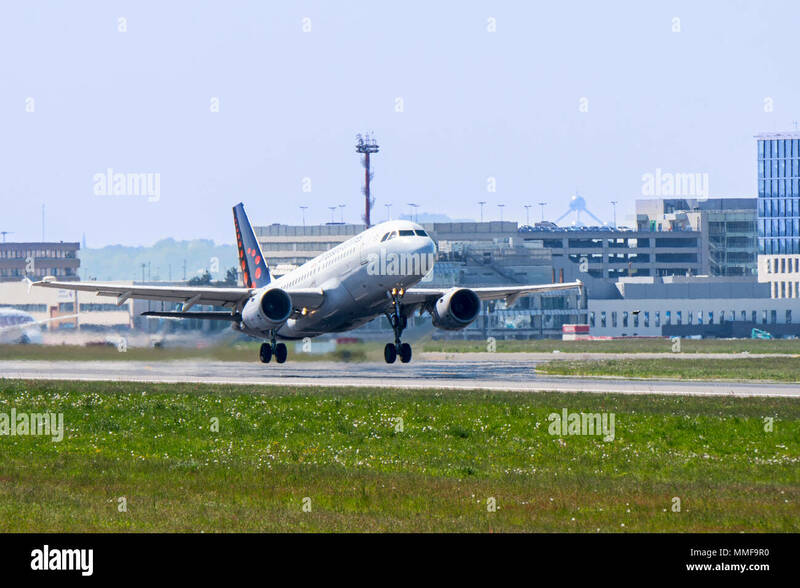 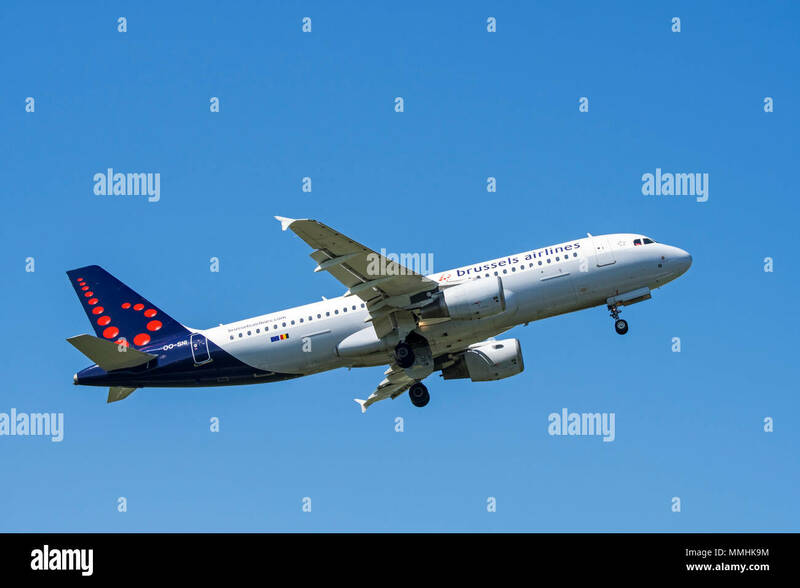 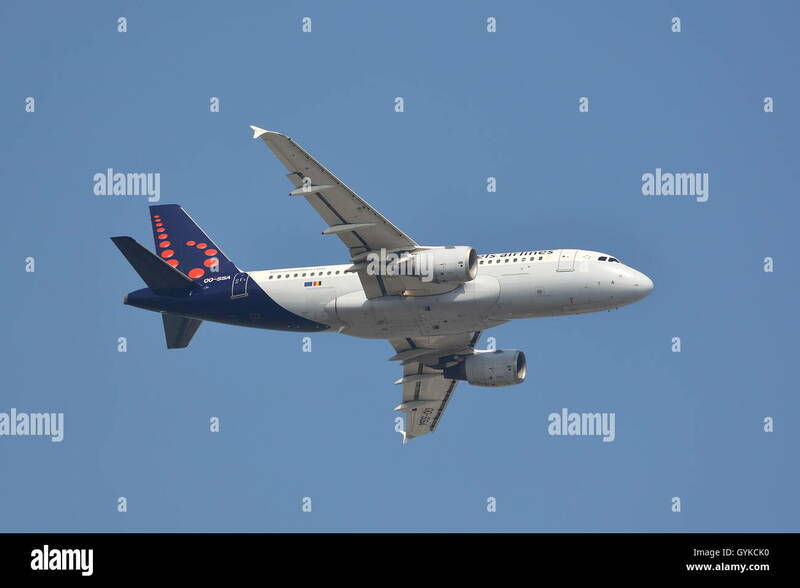 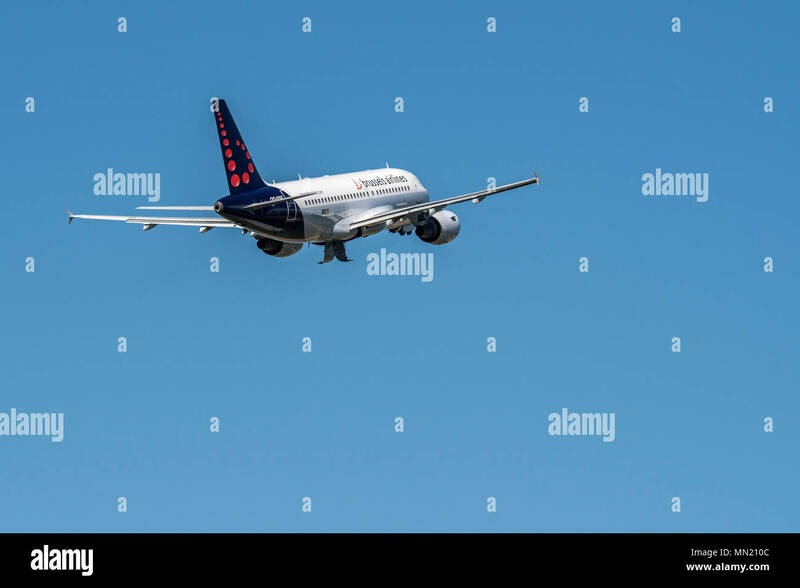 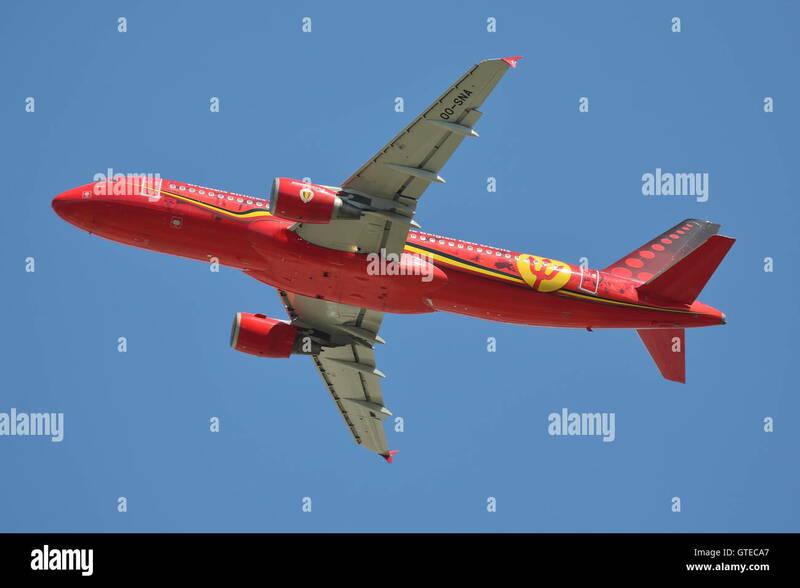 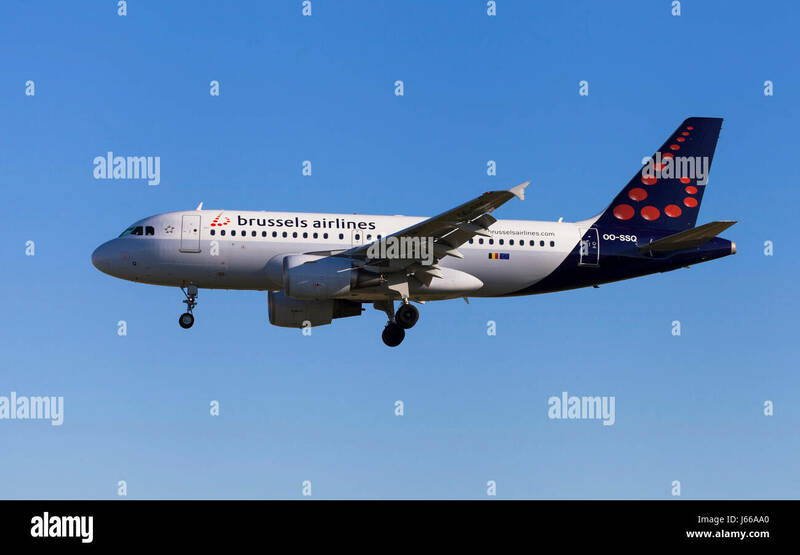 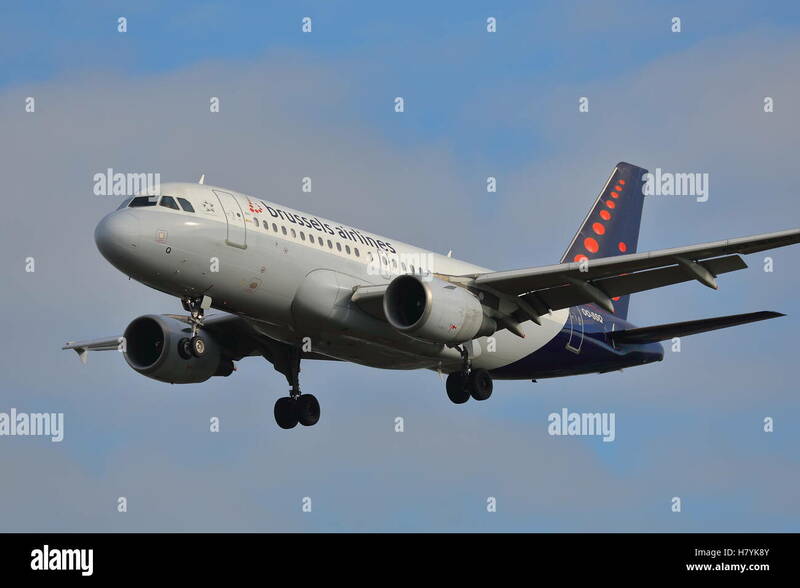 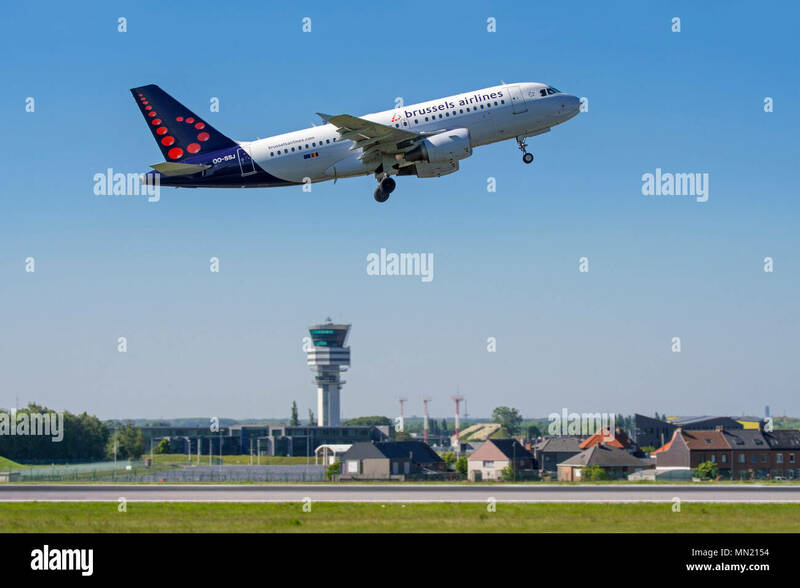 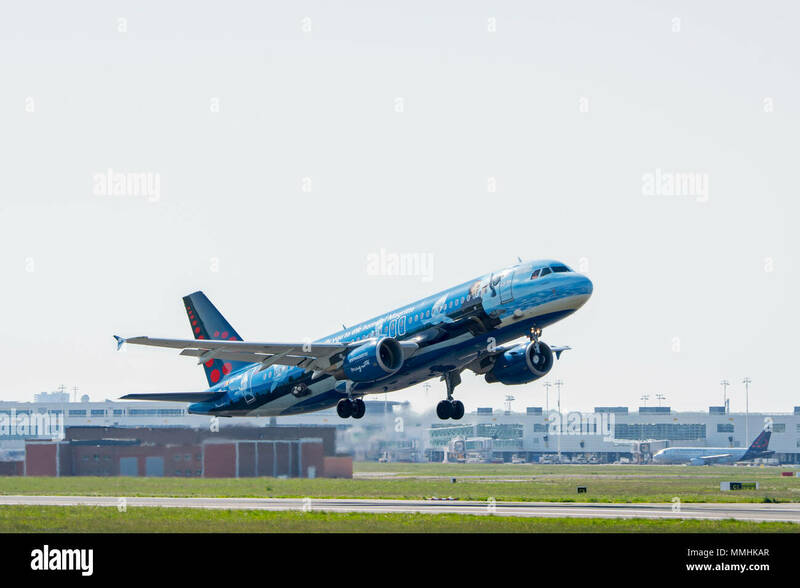 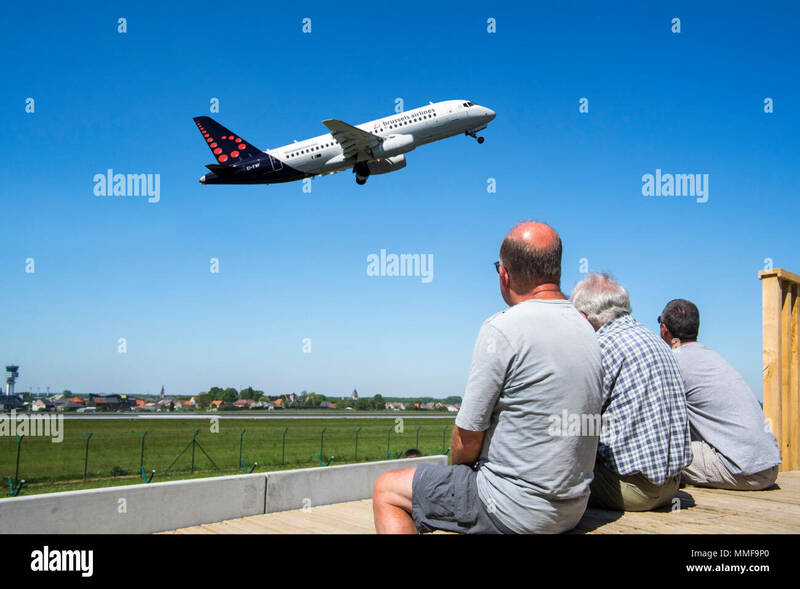 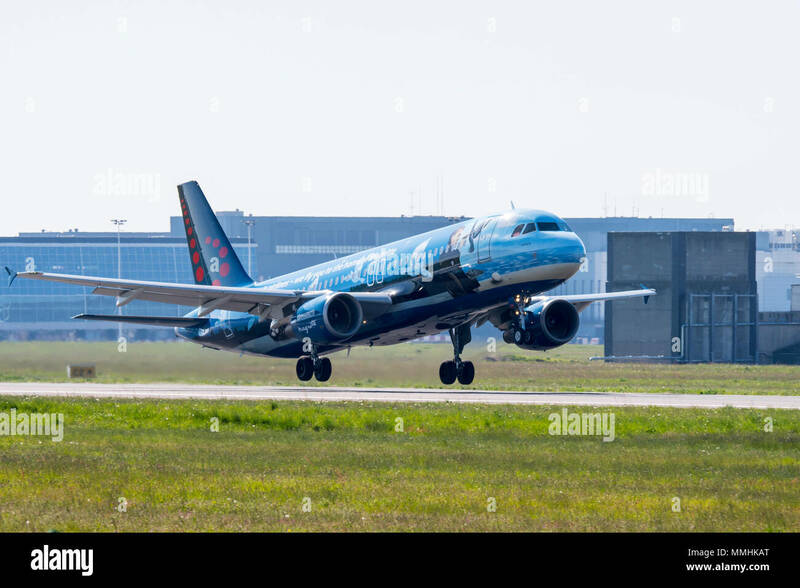 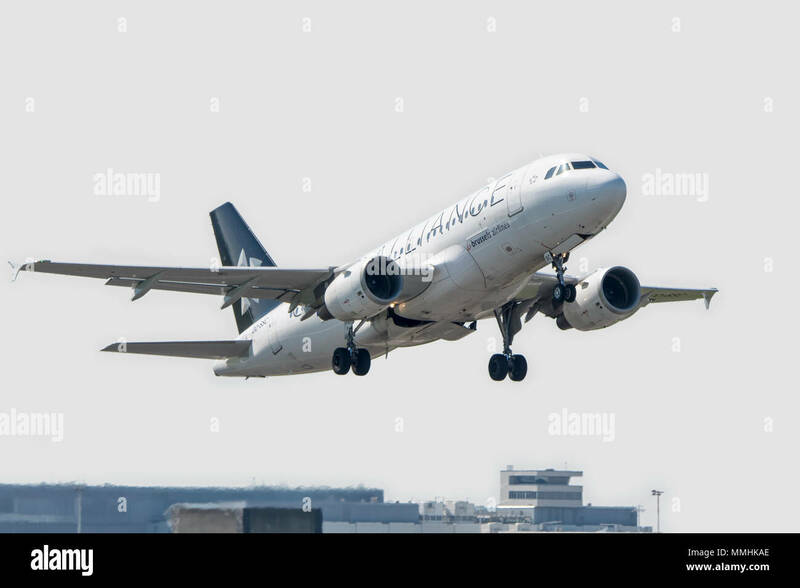 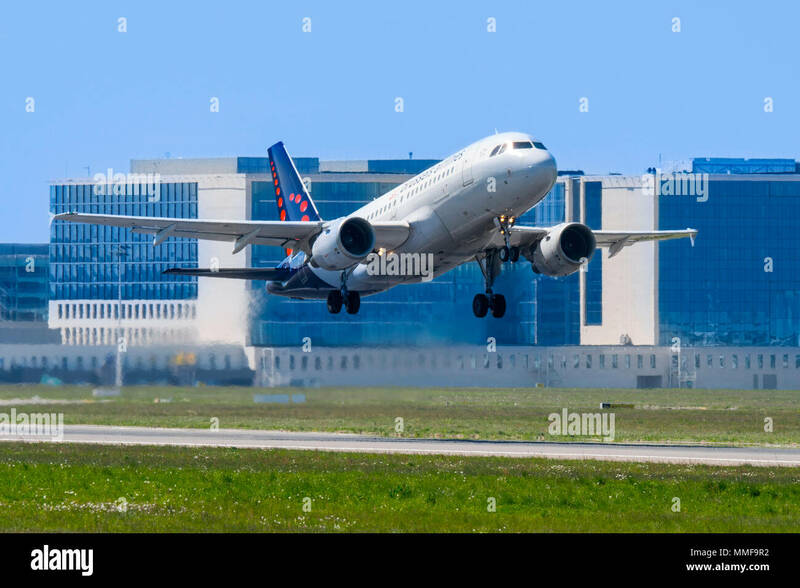 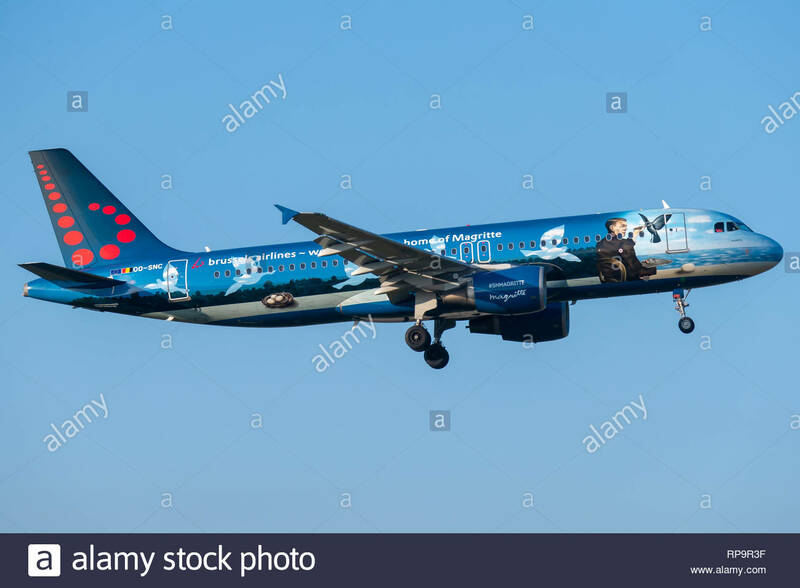 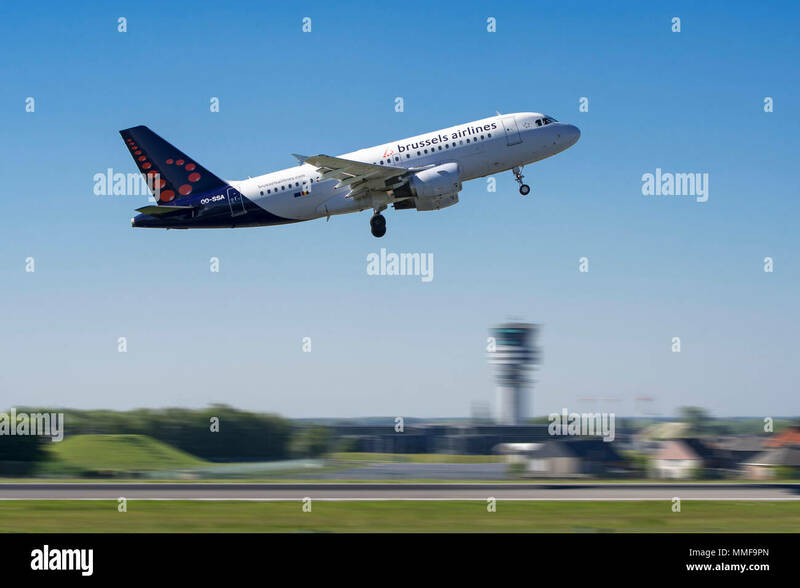 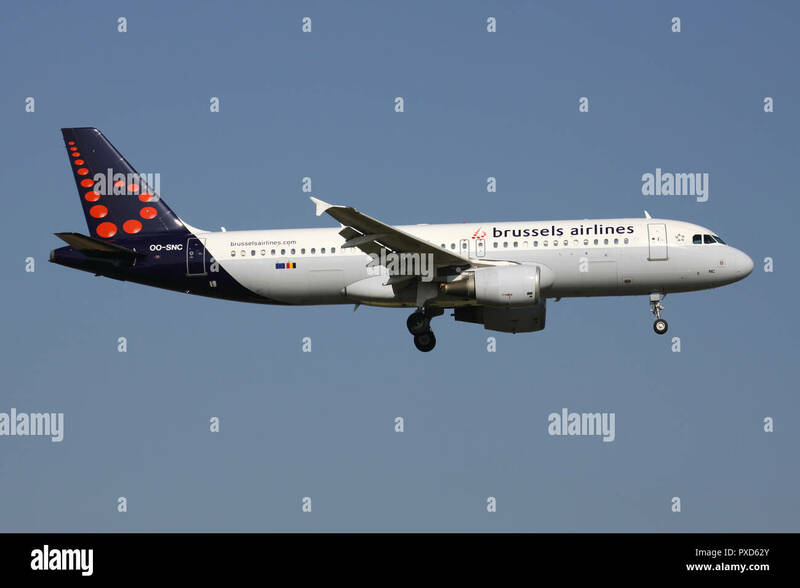 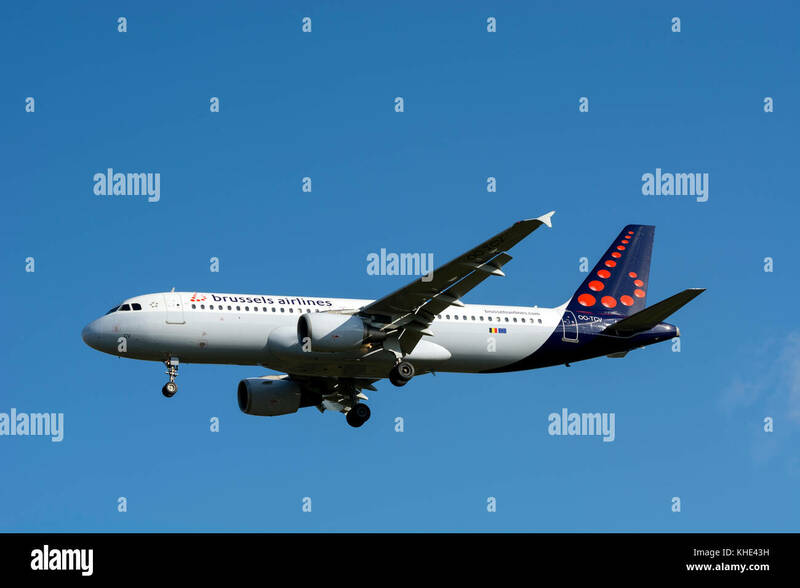 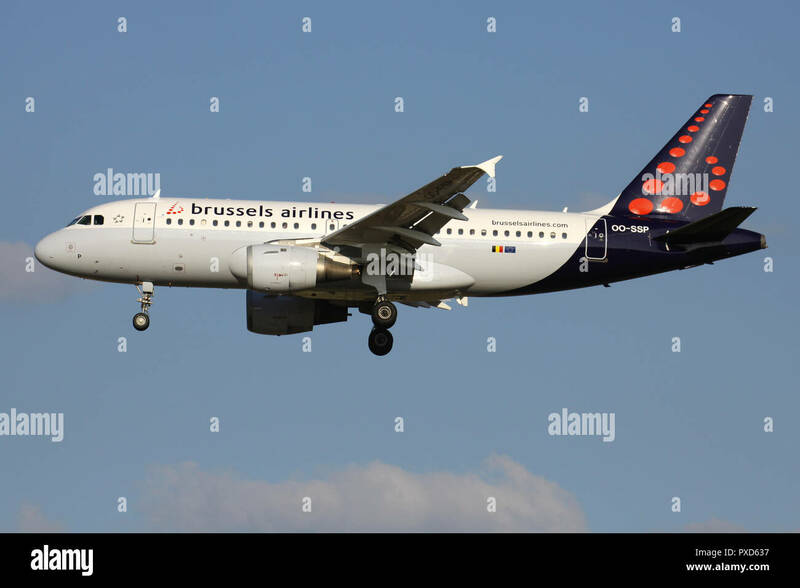 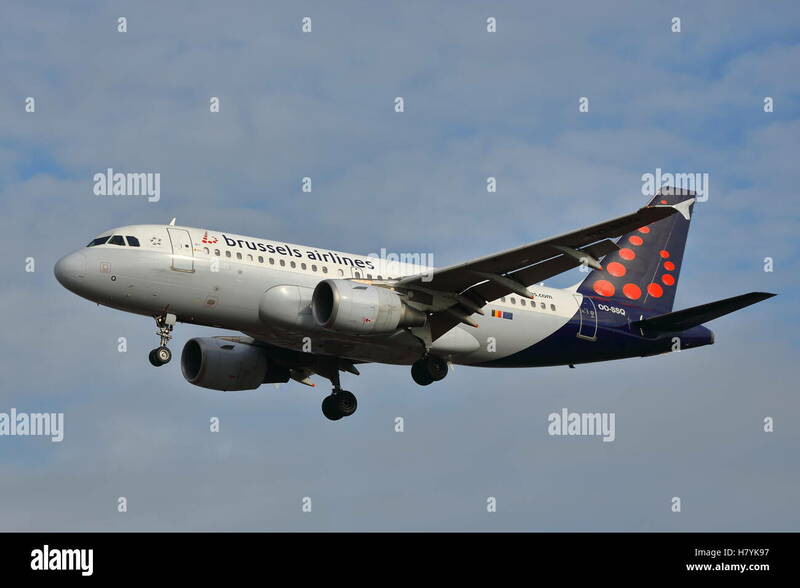 Barcelona, Spain - May 6, 2017: Brussels Airlines Airbus A319 approaching to El Prat Airport in Barcelona, Spain. 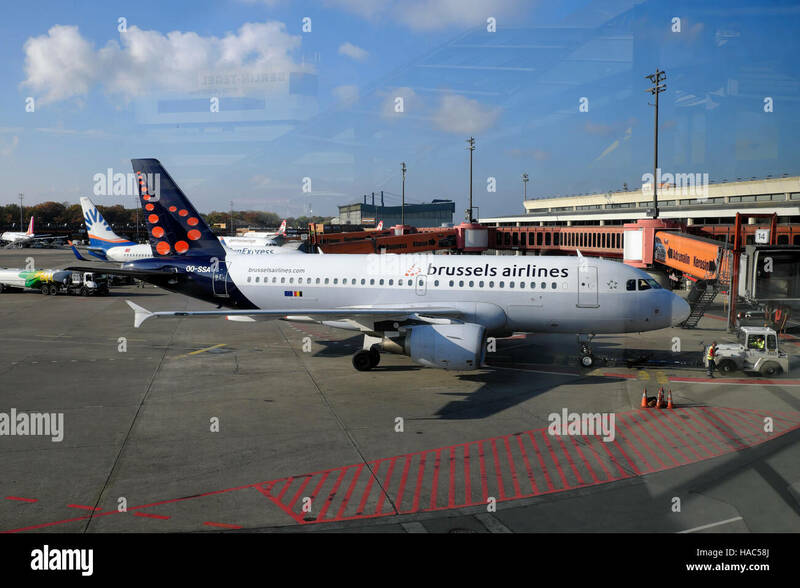 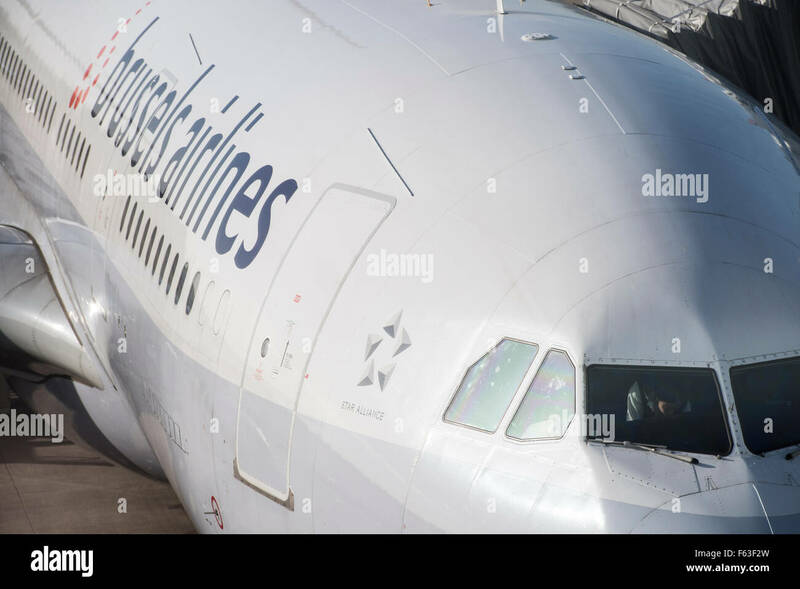 Brussels Airlines A320 parked at Brussels Airport. 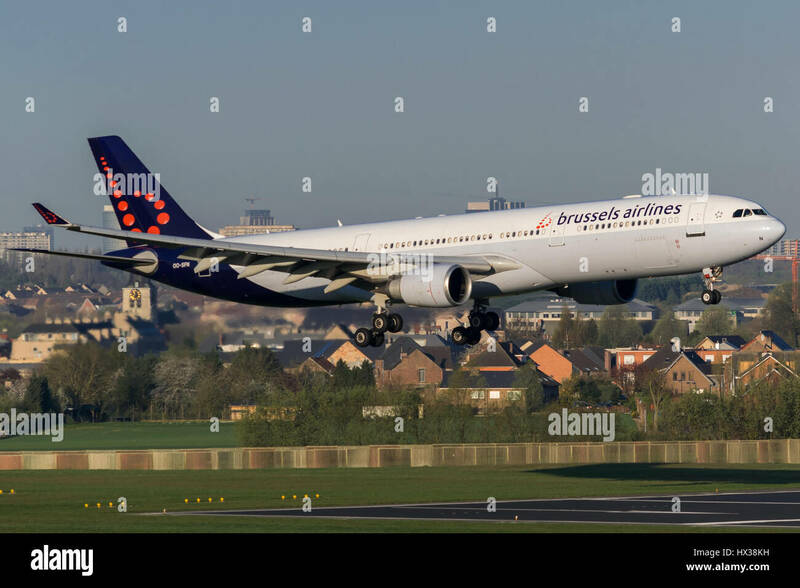 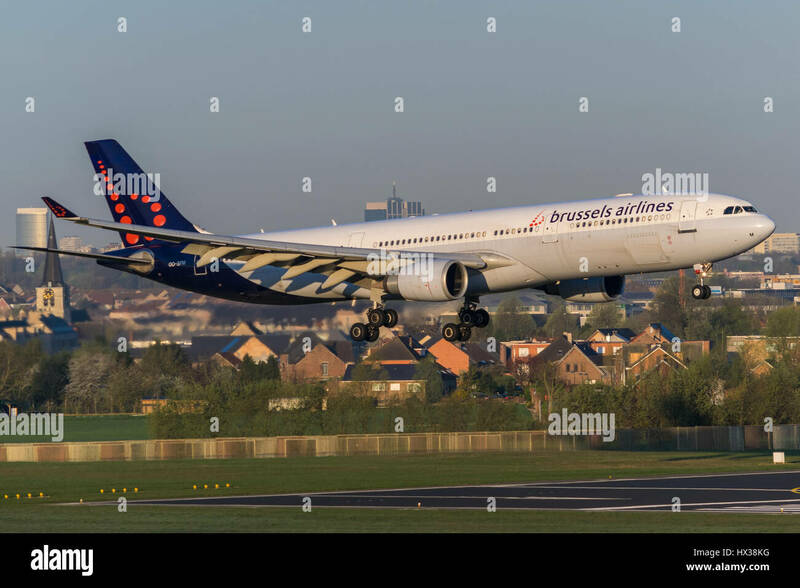 Brussels Airlines Airbus A333 landing on runway 01 at Brussels Airport. 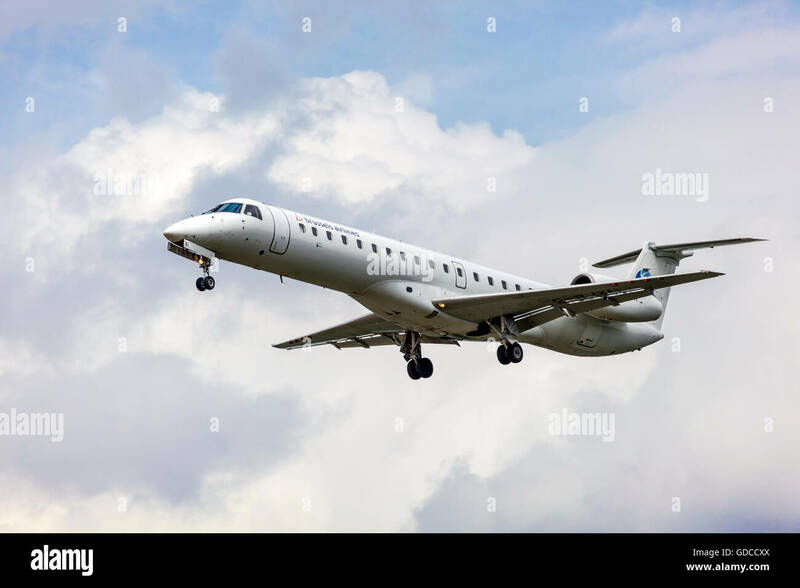 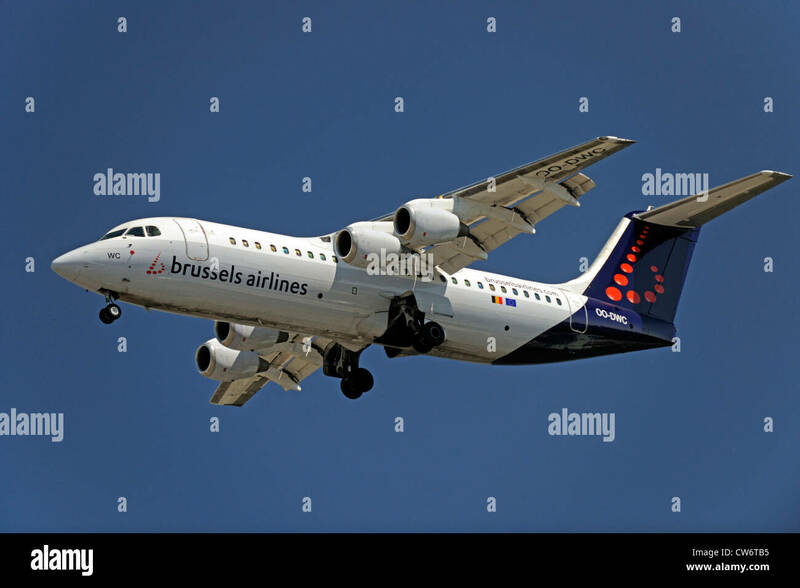 Belgian Brussels Airlines Avro RJ85 with registration OO-DJP on short final for runway 01 of Brussels Airport. 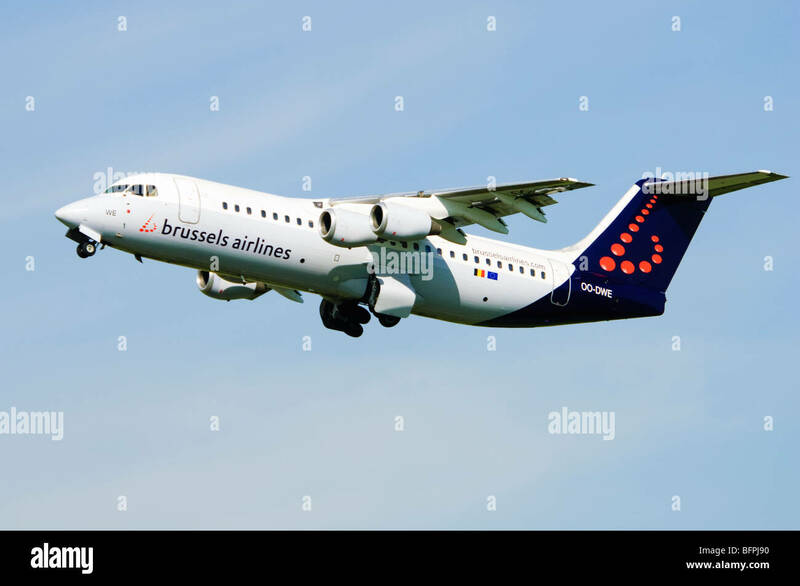 Belgian Brussels Airlines Avro RJ100 with registration OO-DWH on short final for runway 01 of Brussels Airport. 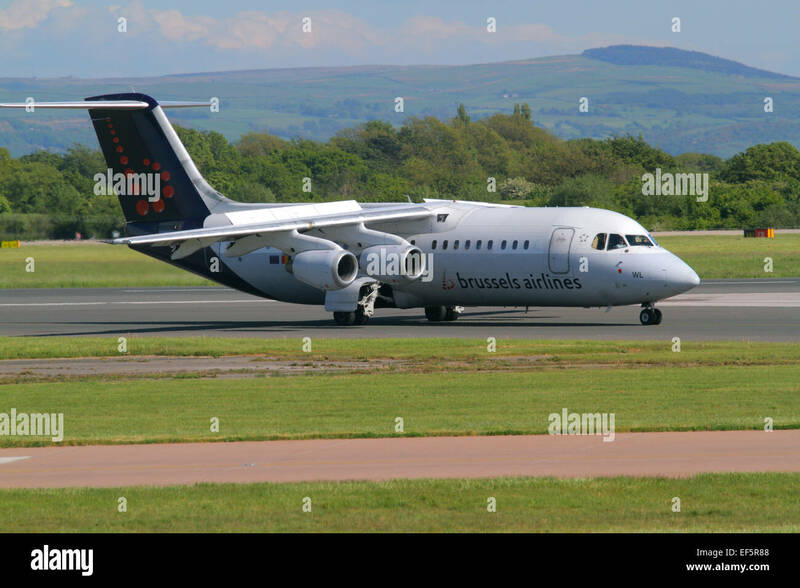 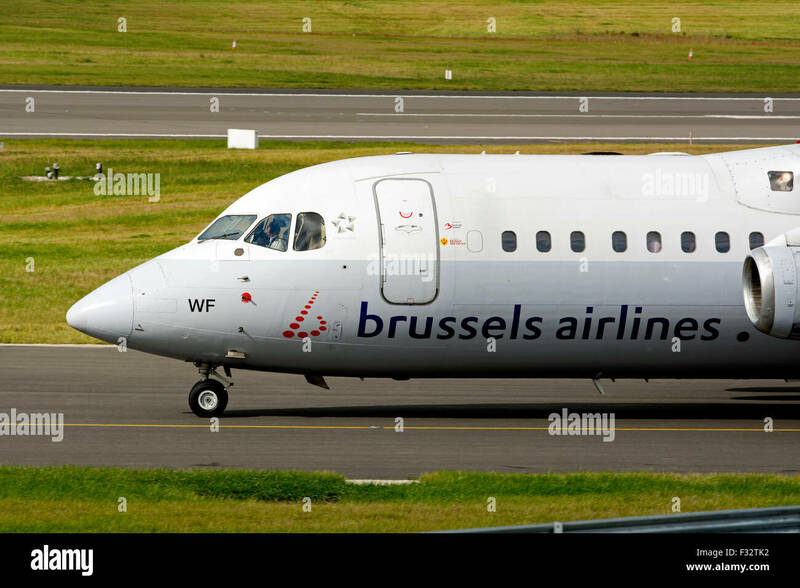 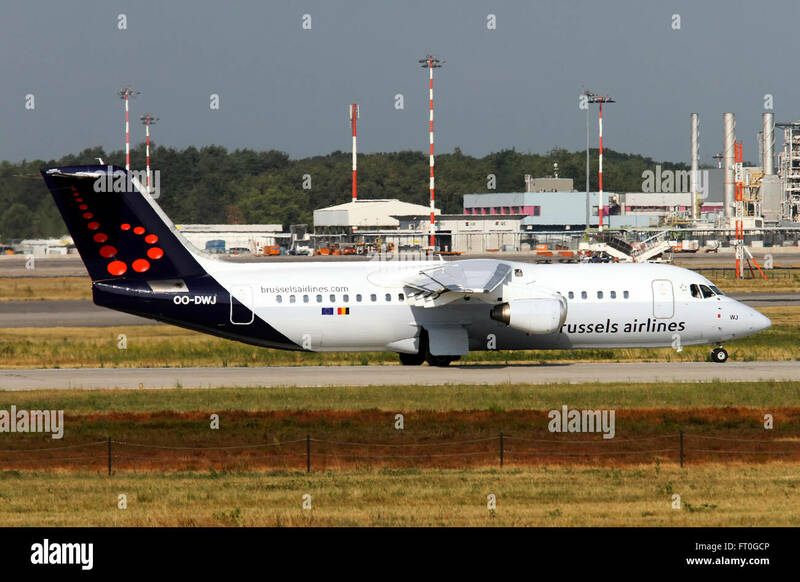 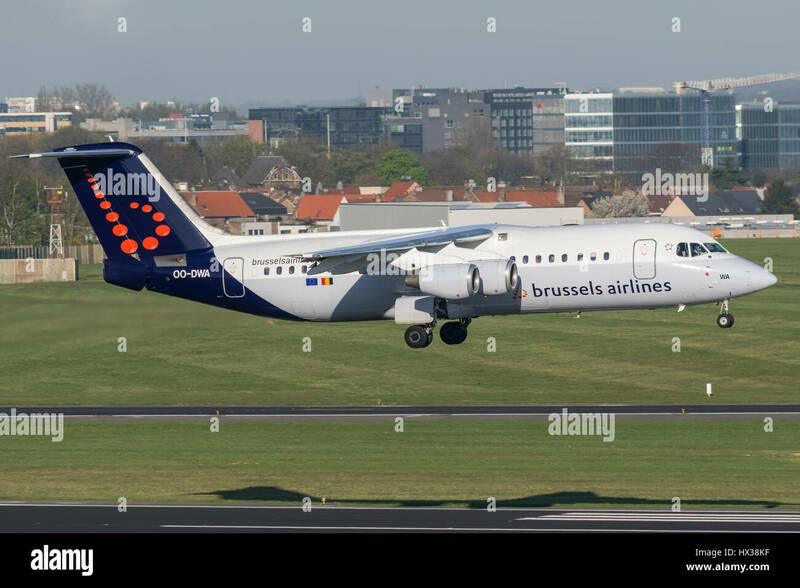 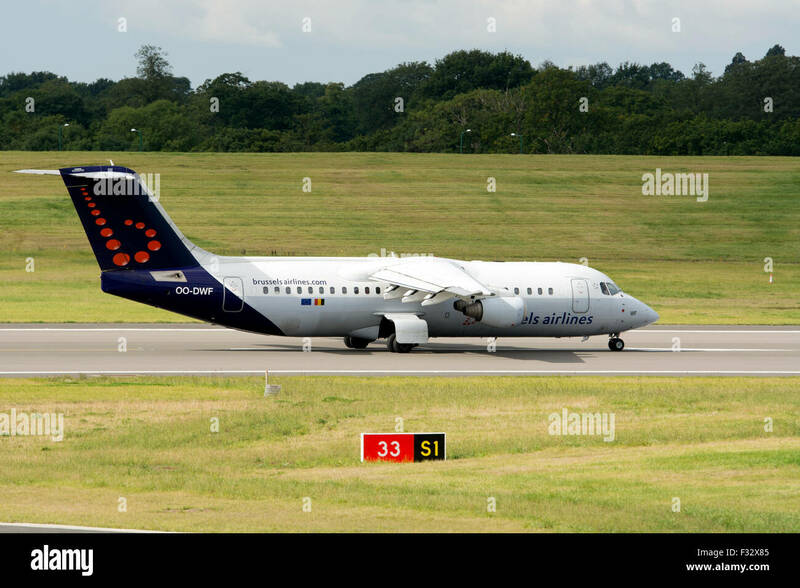 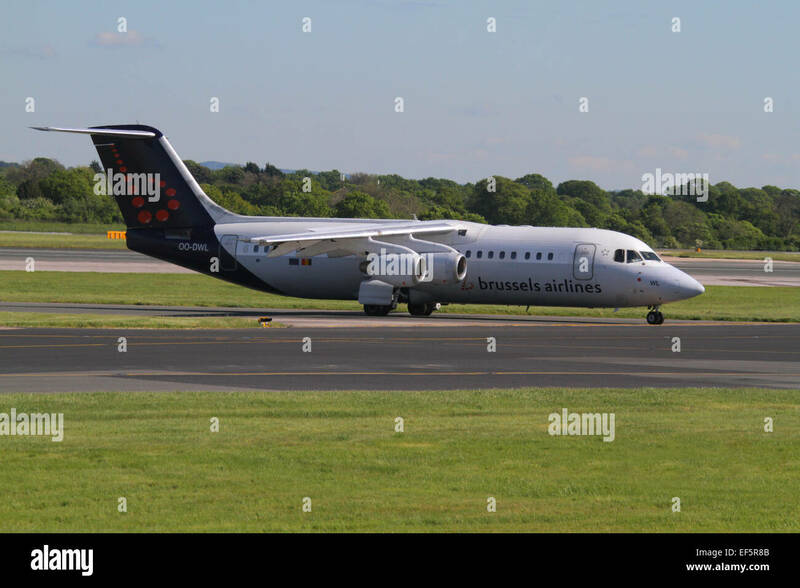 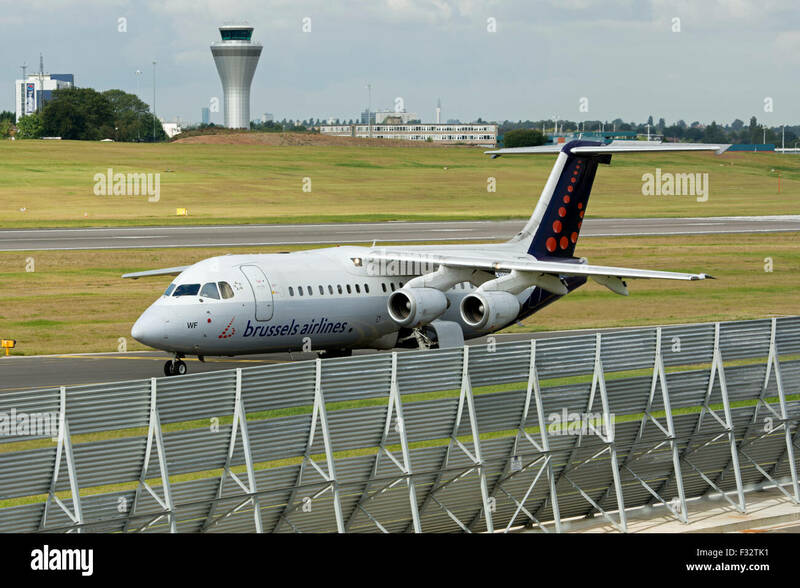 Brussels Airlines BAe Avro RJ100 landing on runway 01 at Brussels Airport. 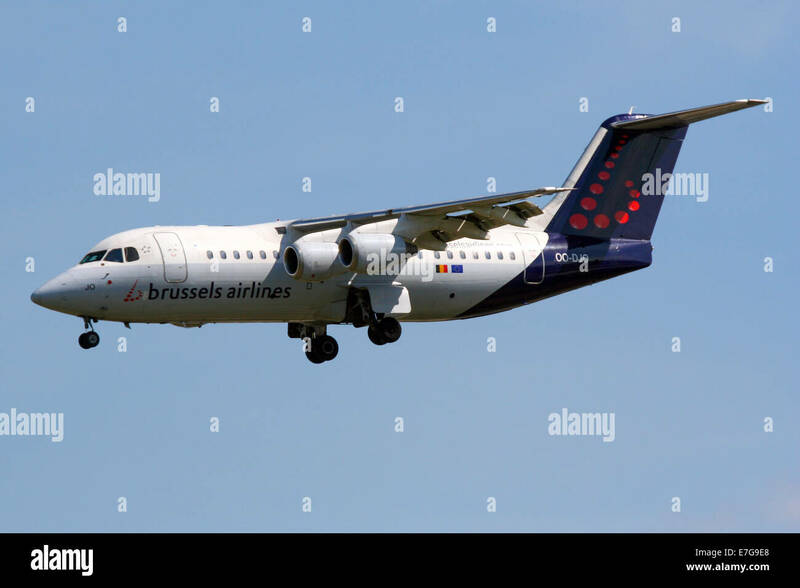 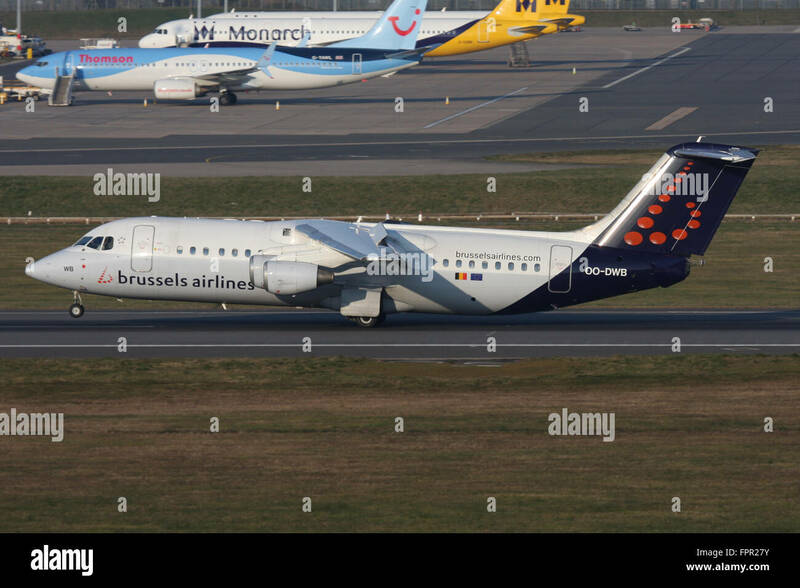 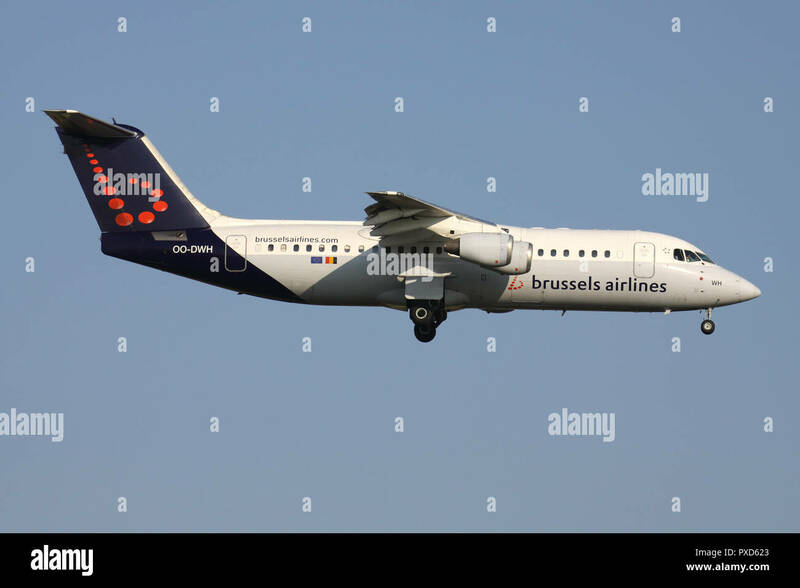 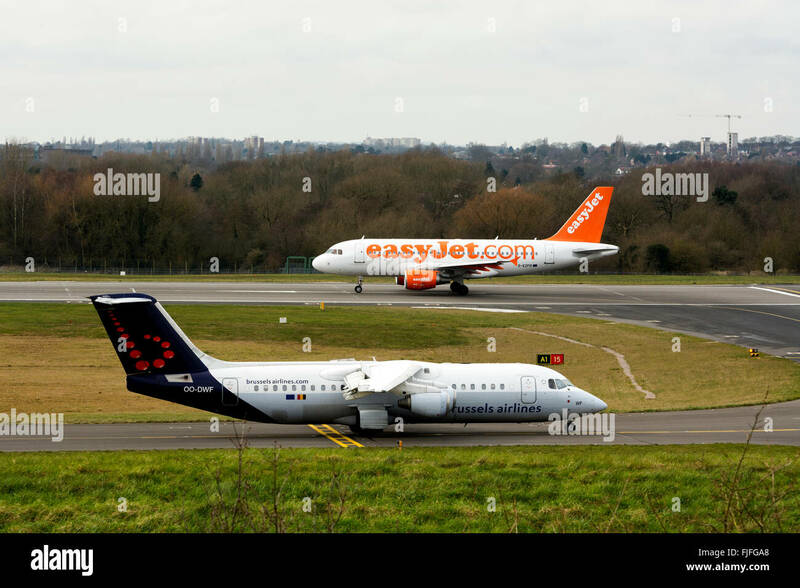 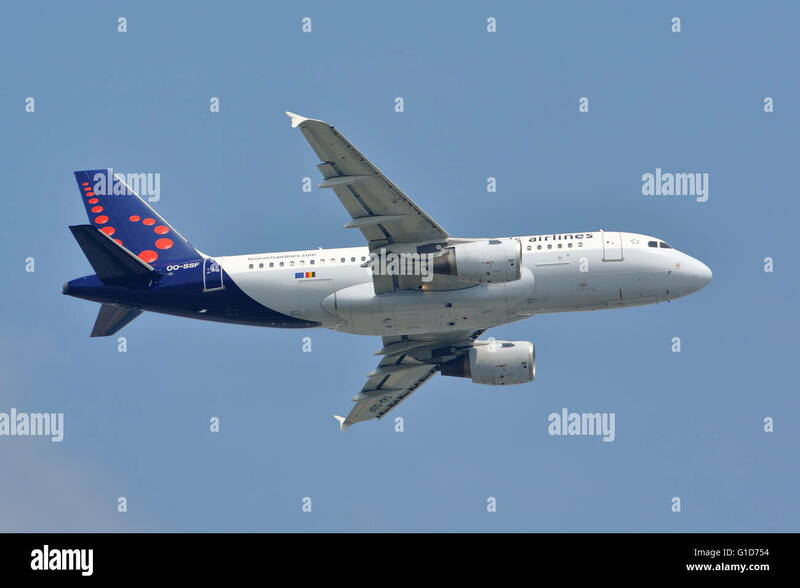 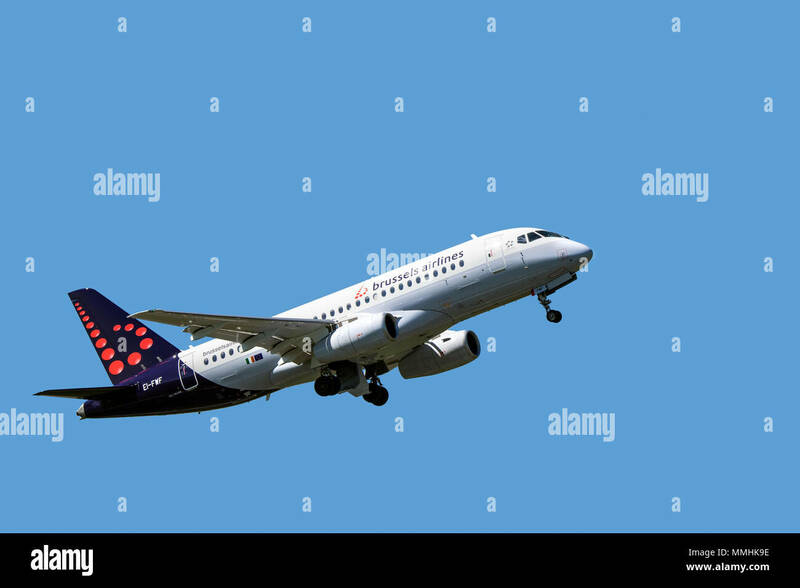 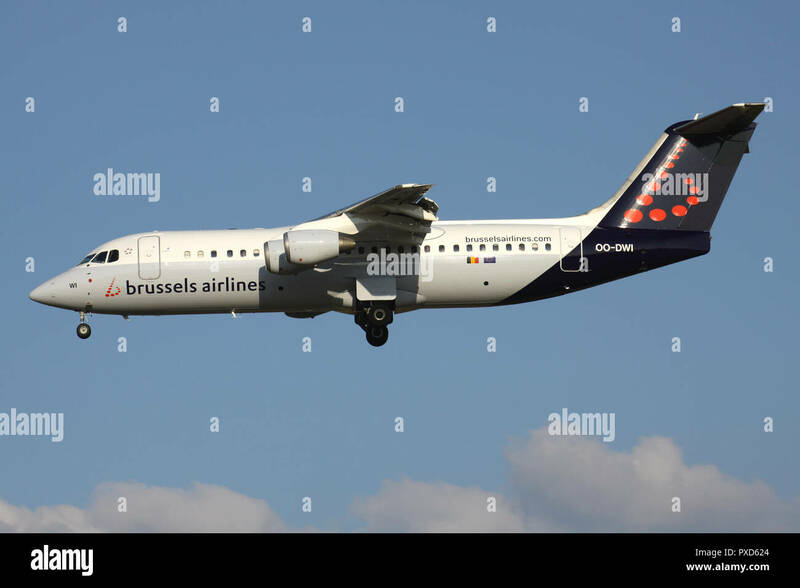 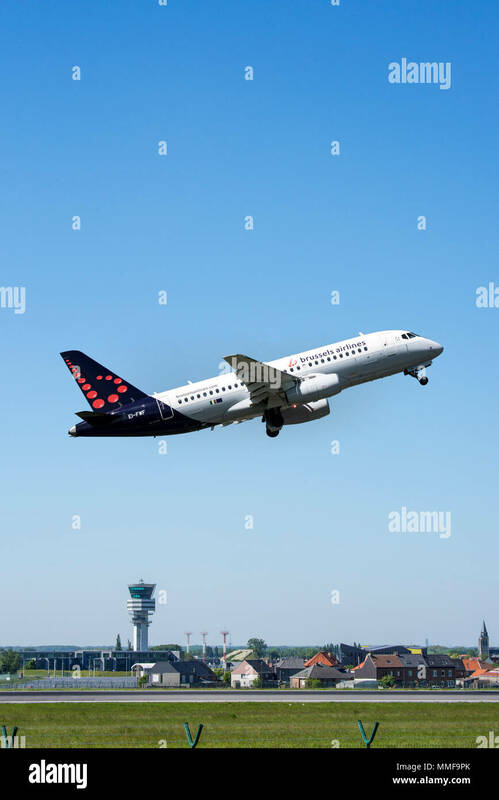 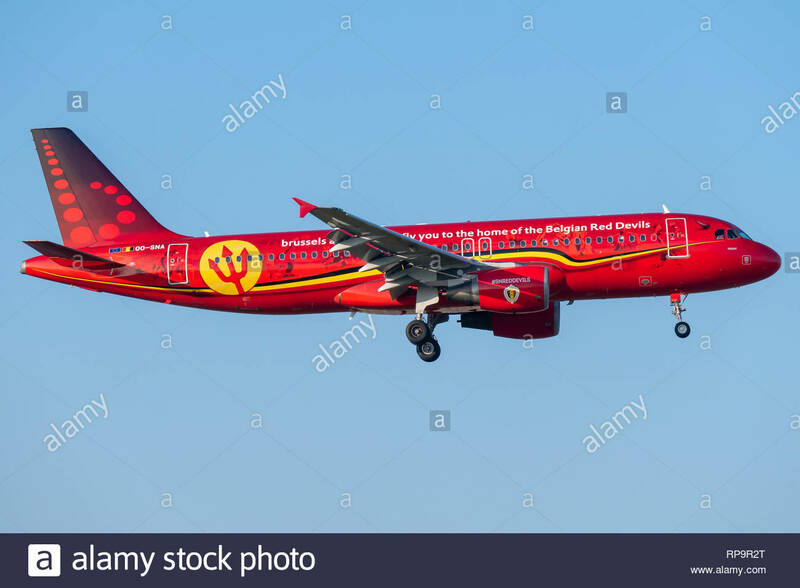 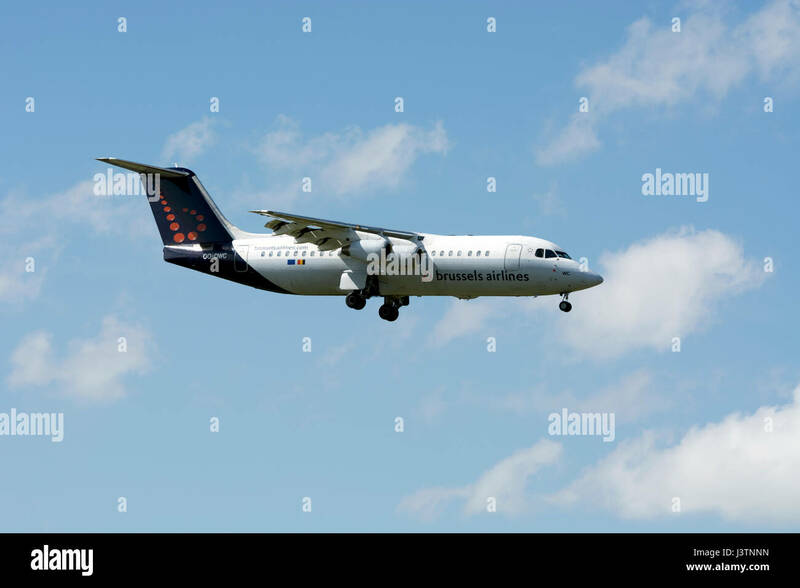 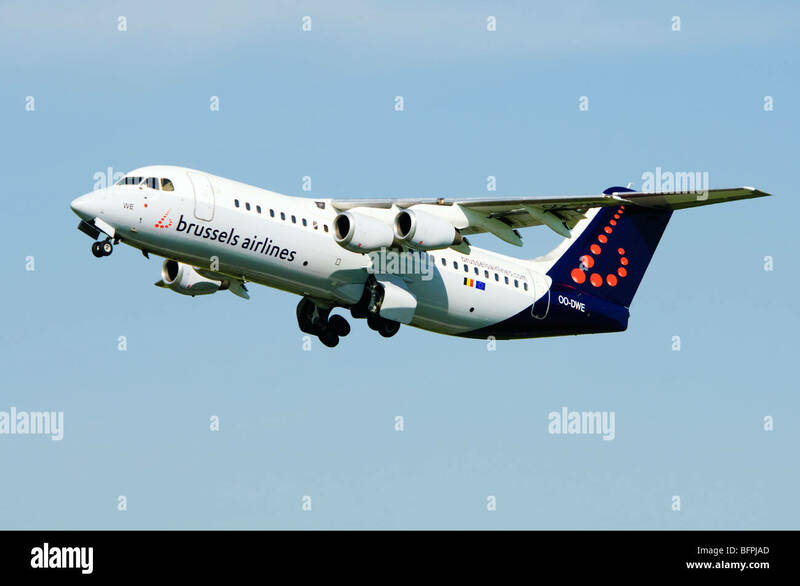 Belgian Brussels Airlines Avro RJ100 with registration OO-DWI on short final for runway 01 of Brussels Airport. 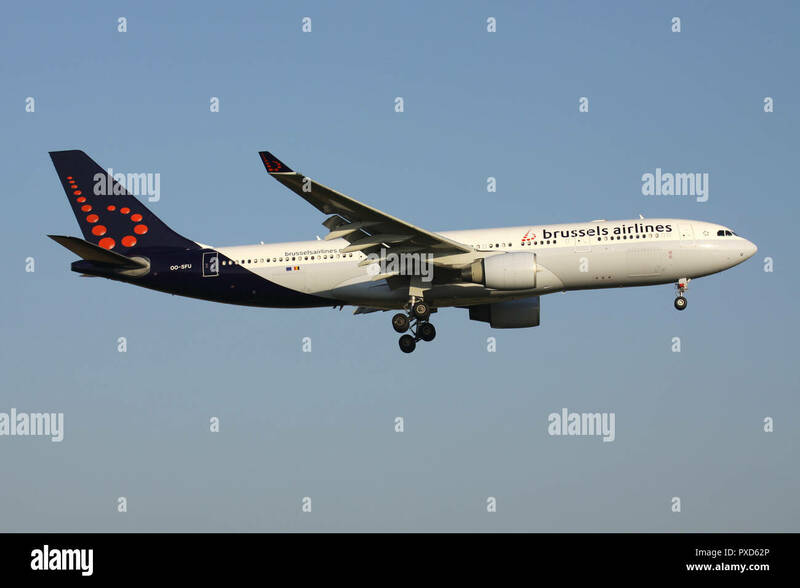 Belgian Brussels Airlines Airbus A330-200 with registration OO-SFU on short final for runway 01 of Brussels Airport. 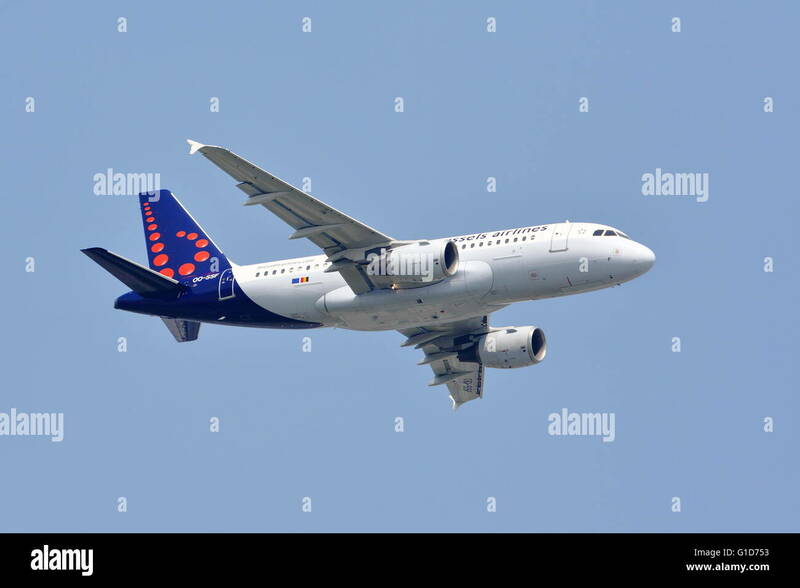 Belgian Brussels Airlines Airbus A319-100 with registration OO-SSQ on short final for runway 01 of Brussels Airport. 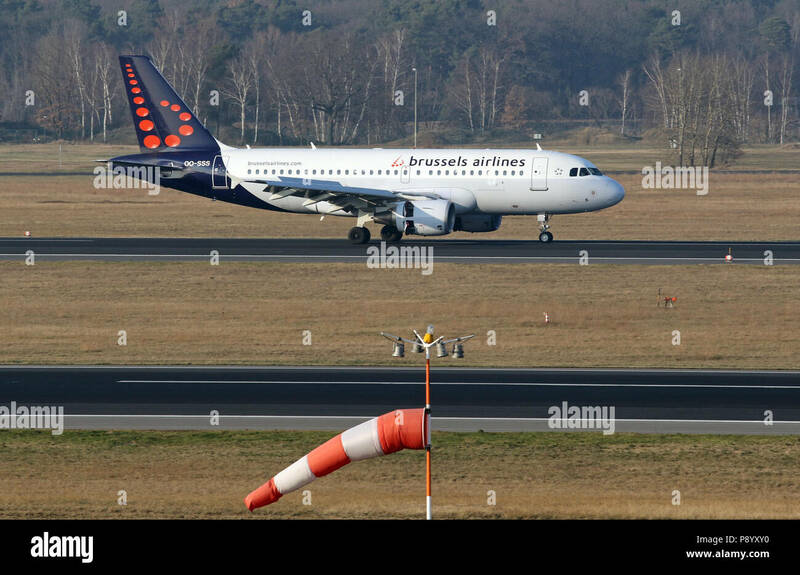 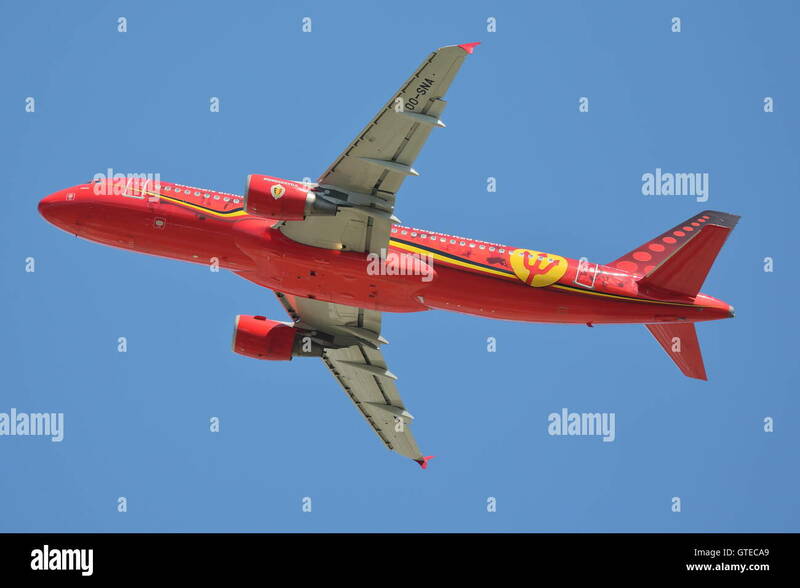 Belgian Brussels Airlines Airbus A320-200 with registration OO-SNC on short final for runway 01 of Brussels Airport. 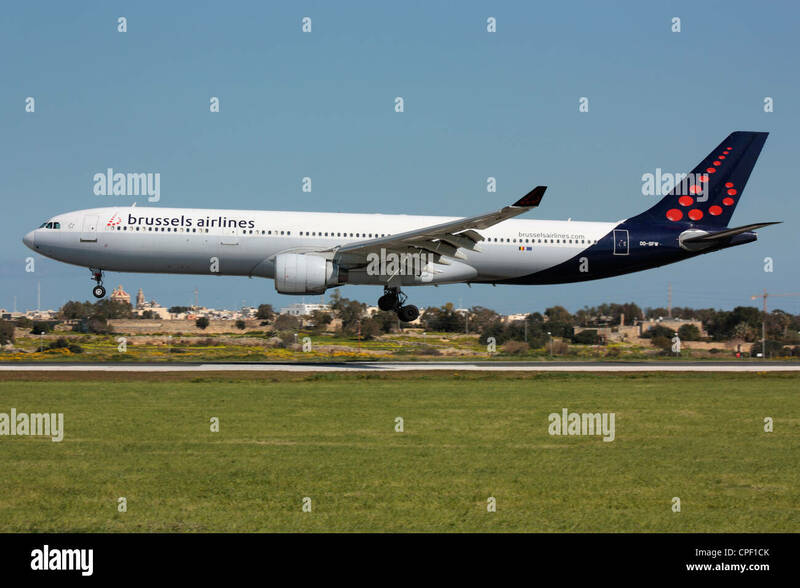 Belgian Brussels Airlines Airbus A330-300 with registration OO-SFO on short final for runway 01 of Brussels Airport. 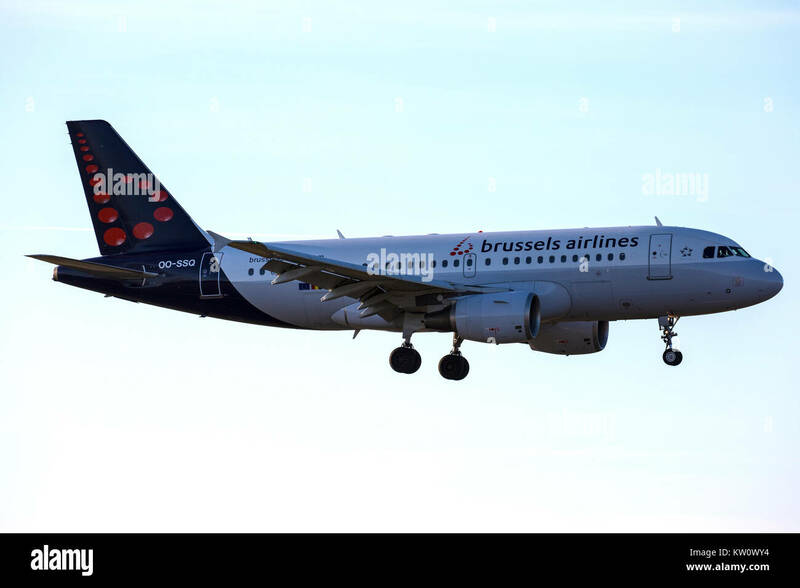 Belgian Brussels Airlines Airbus A320-200 with registration OO-SNB on short final for runway 01 of Brussels Airport. 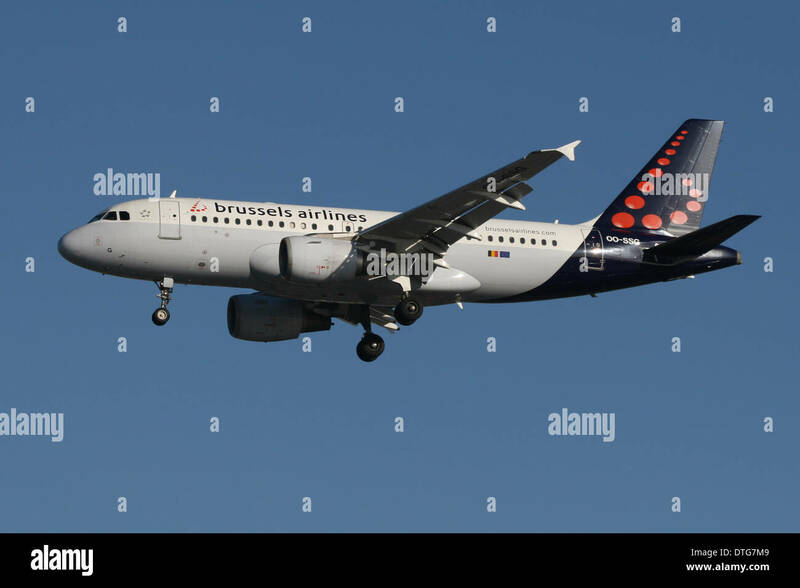 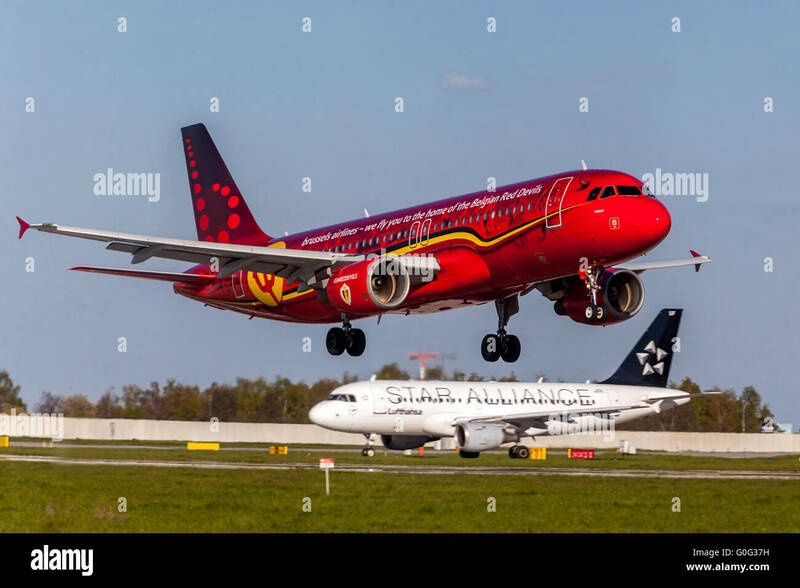 Belgian Brussels Airlines Airbus A319-100 with registration OO-SSP on short final for runway 01 of Brussels Airport. 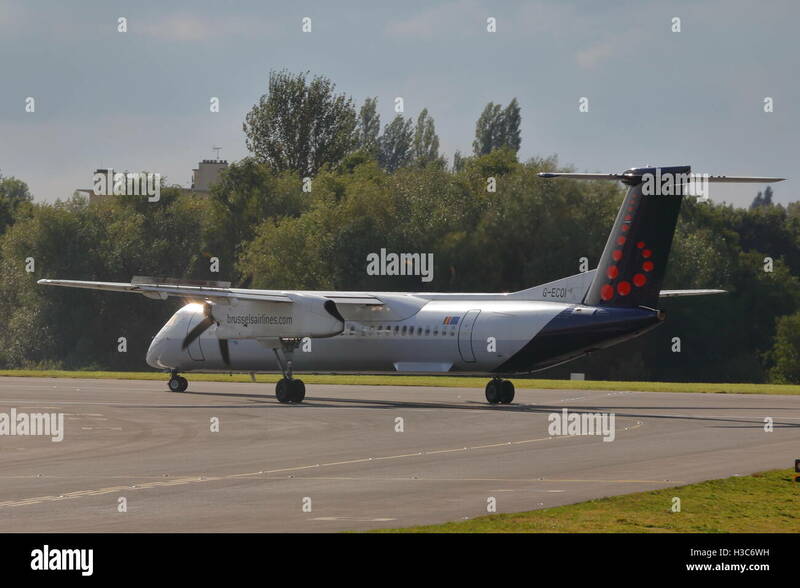 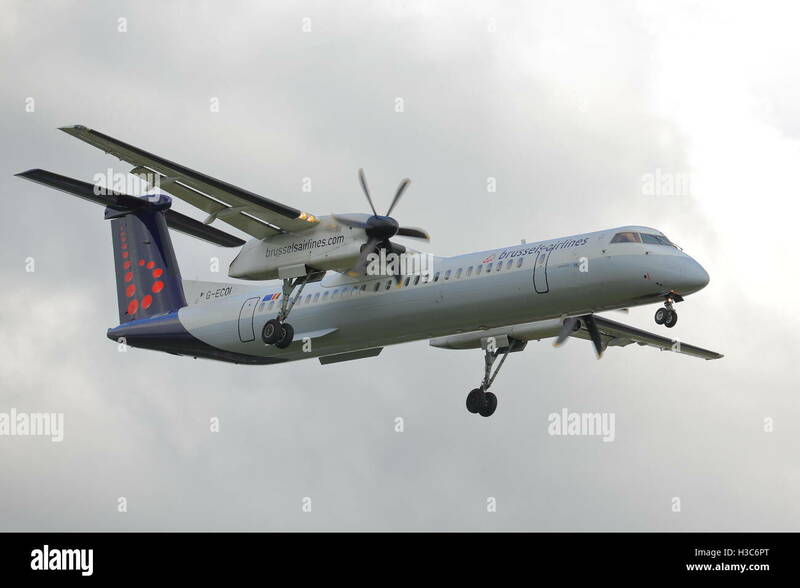 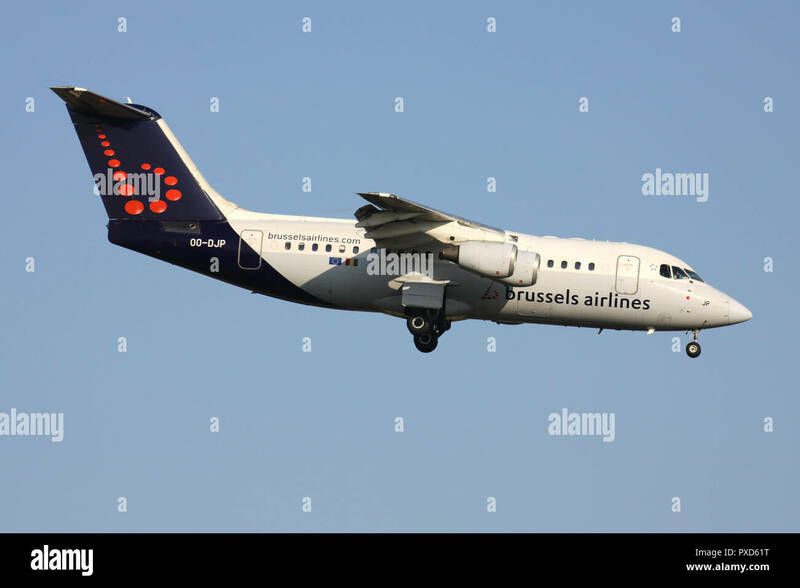 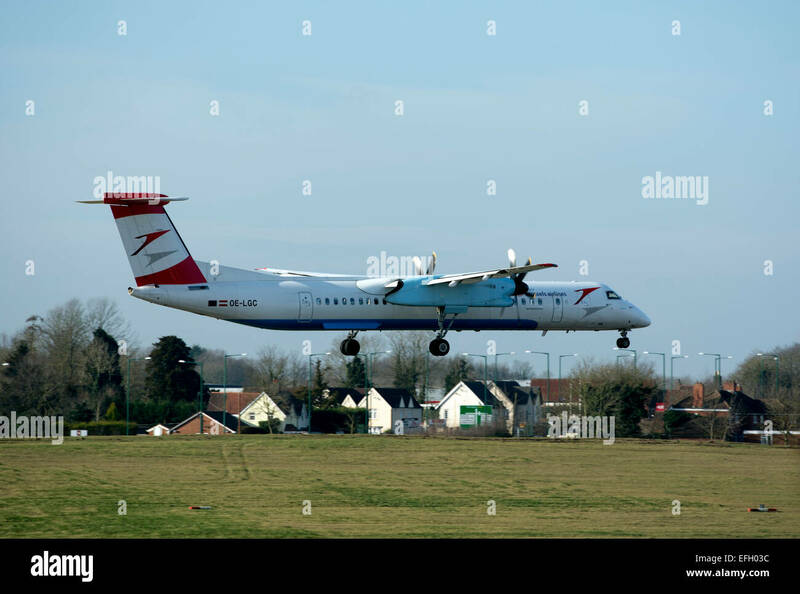 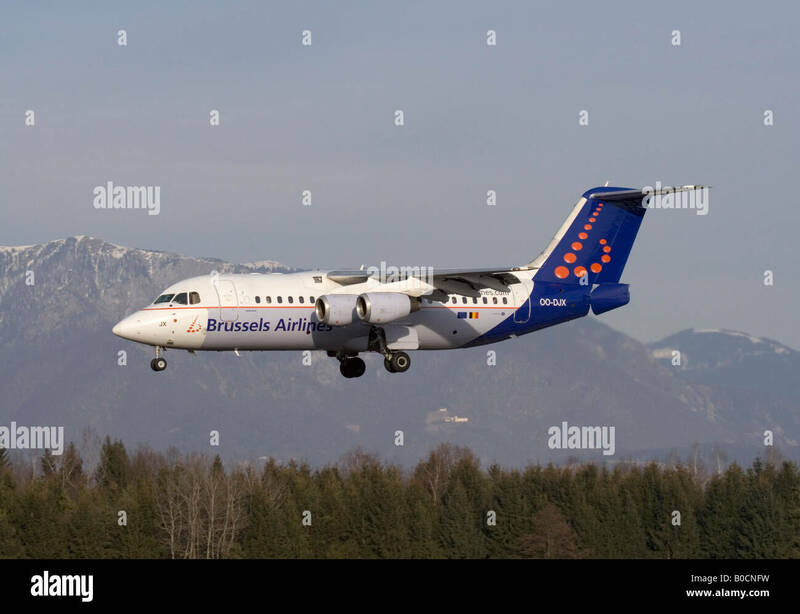 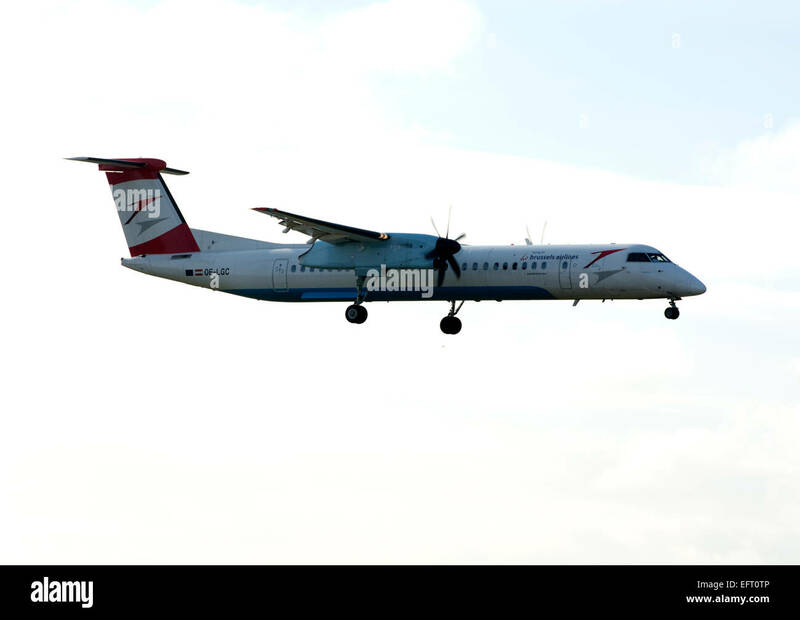 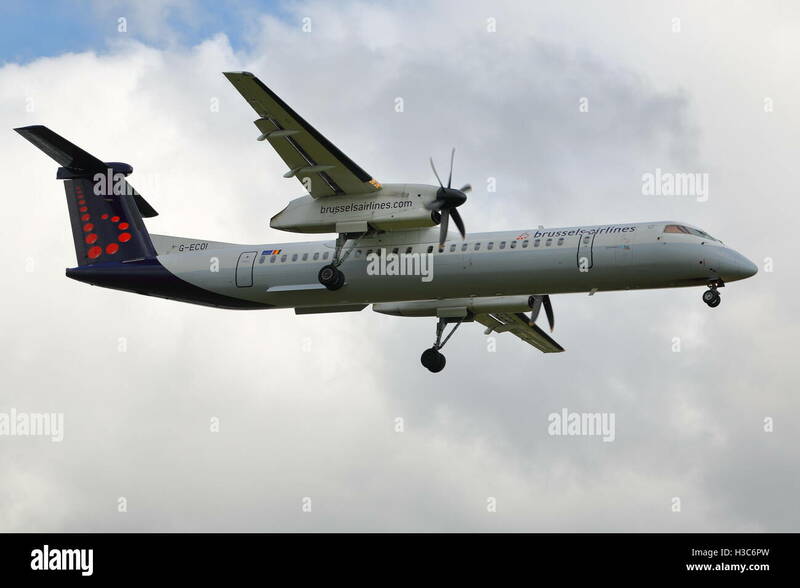 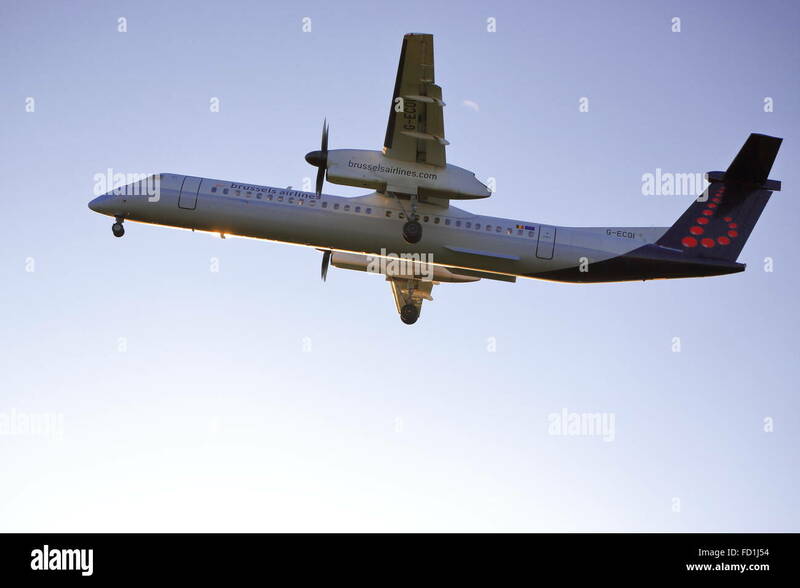 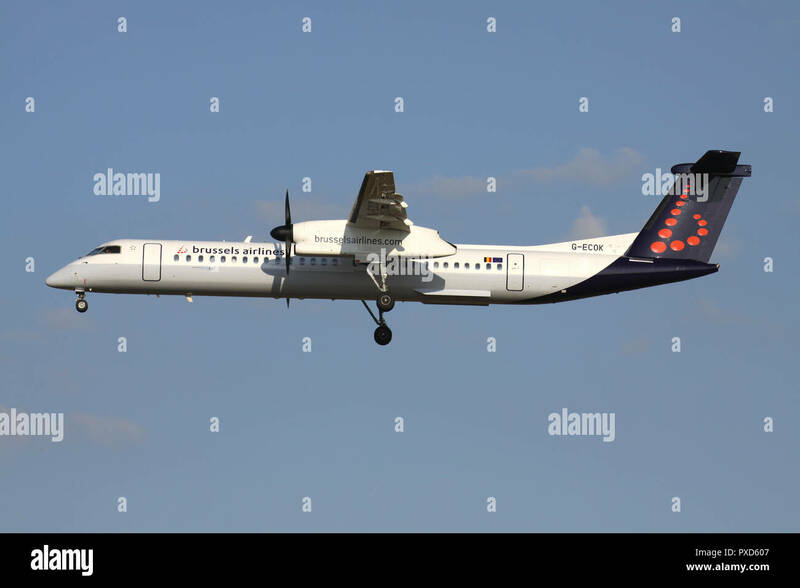 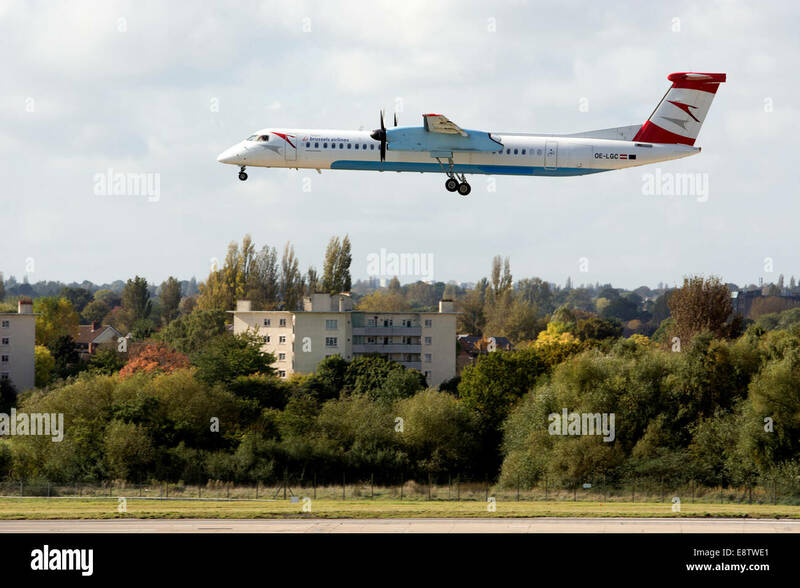 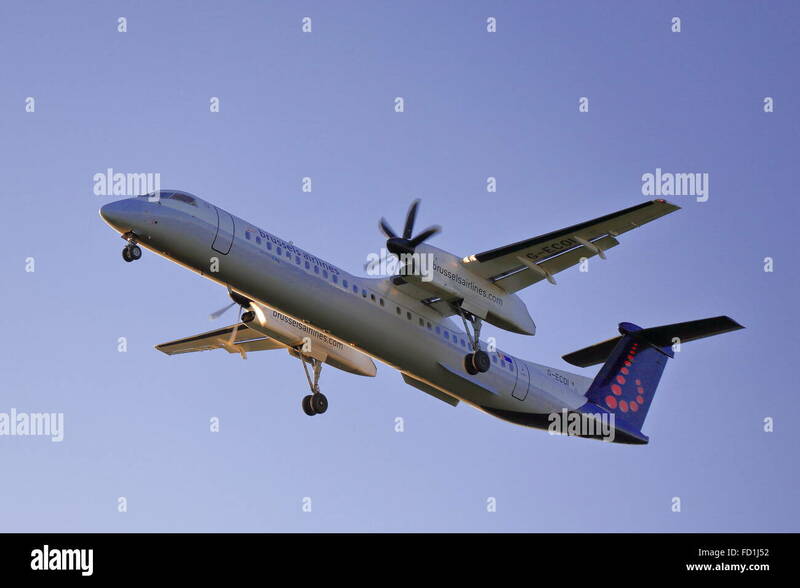 British flybe Bombardier Dash 8 Q400 in Brussels Airlines livery with registration G-ECOK on short final for runway 01 of Brussels Airport.